One of the organizations giving away free Google Cardboard headsets. 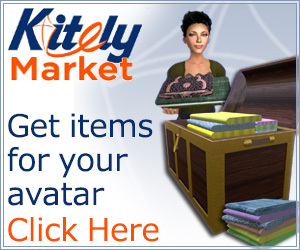 Disclosure: Where buying information is included, affiliate links are used where available. 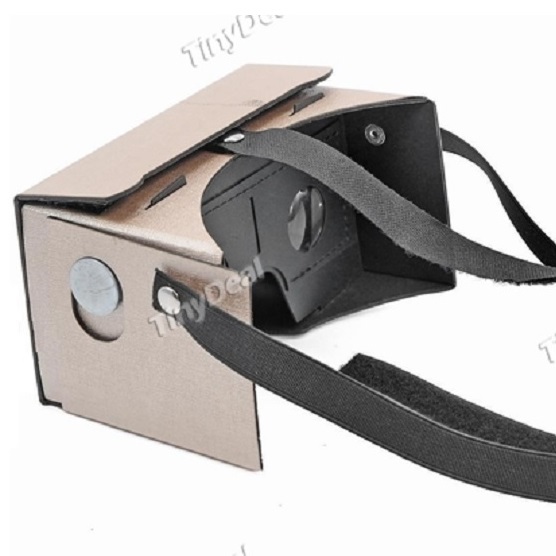 This is the latest version of the Google Cardboard design, which can hold larger phones and has a button on top instead of on the side. It’s also very easy to assemble, since it folds into shape with just one move. 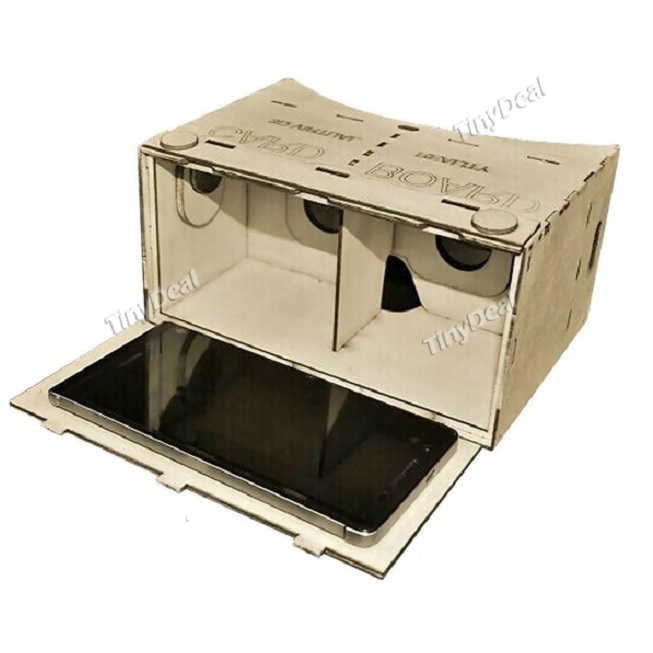 However, the cardboard can absorb sweat and oil and, since it’s without any padding, can quickly become uncomfortable to use. 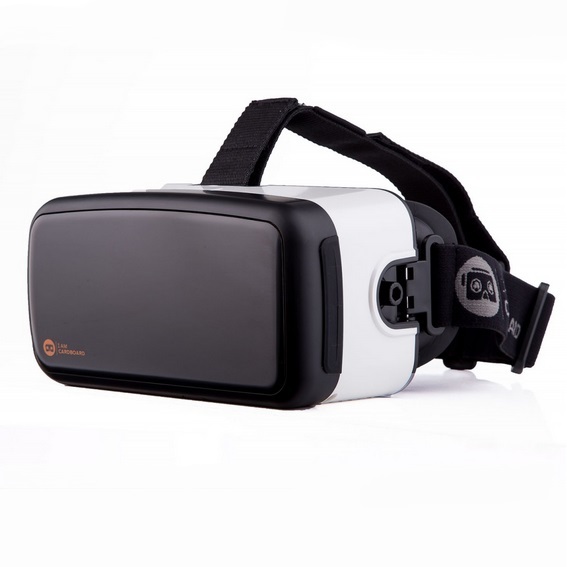 But at prices starting at around $5, it’s a great way to give virtual reality a test run. Companies looking to distribute their own, branded headsets to customers can also buy in bulk at a discount. Buy from Amazon here or here, AliExpress, TinyDeal, DHGate. Weighs around 3 ounces, depending on thickness of cardboard, plus whatever your smartphone weighs. Standard lens size is 34 mm and the field of view is around 100 degrees. There’s a capacitative touch button on the top side, on the right, making it a good fit for both Android phones and iPhones. 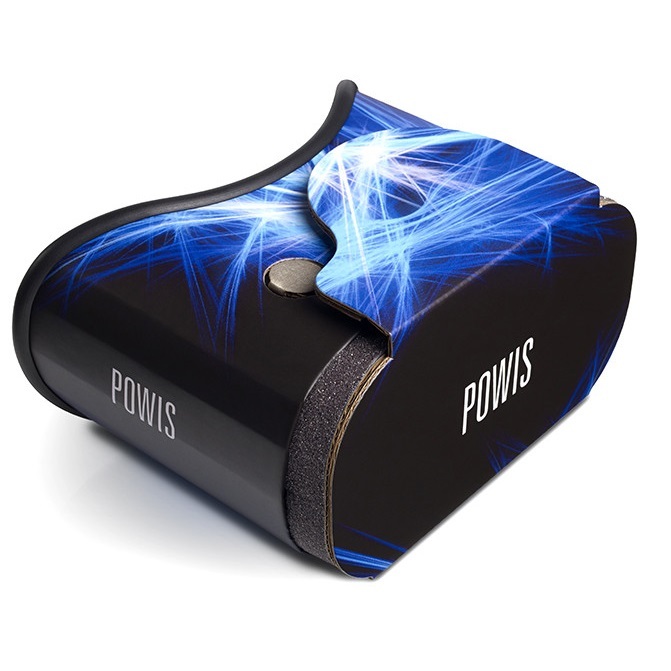 An unusually shaped cardboard headset, the Powis ViewR is priced at $29.95 from the official site. It is also available in a leather-like red alligator and tan pebble styles for $39.95. 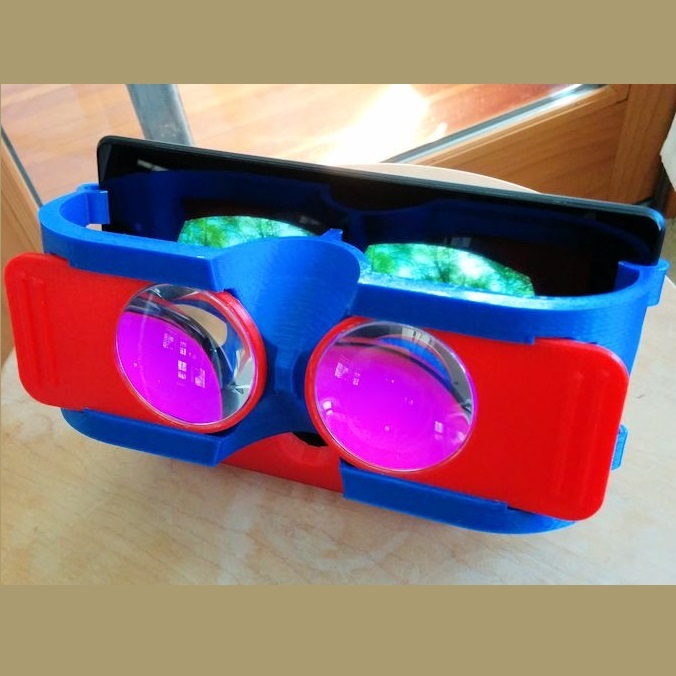 This viewer is Google Cardboard V2.0 compatible, and has a button on the top. 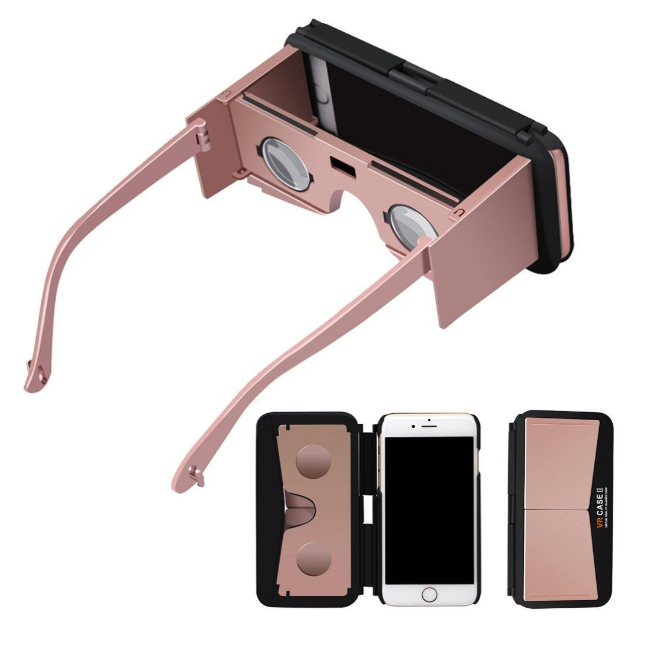 It also features adjustable lenses, cooling vents, and can handle phones up to 6.5 inches in size. 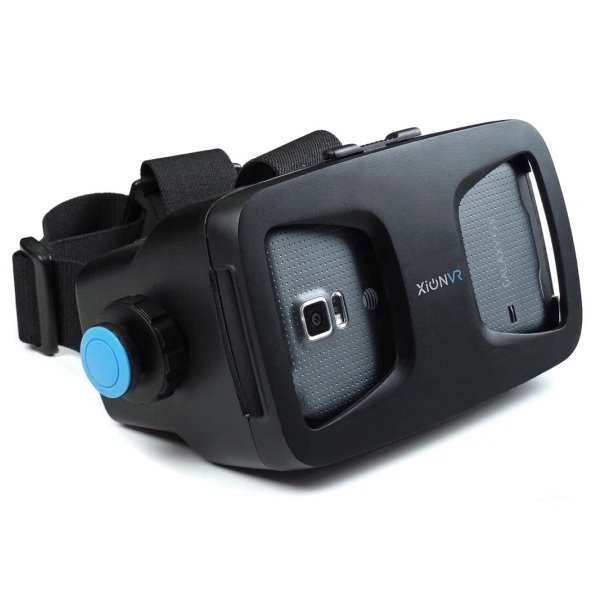 Get the blue version from Amazon for $30, where it has been receiving excellent reviews for comfort and image quality. Weighs 5 ounces or 140 grams. Field of view is 90 degrees. Read our review here. 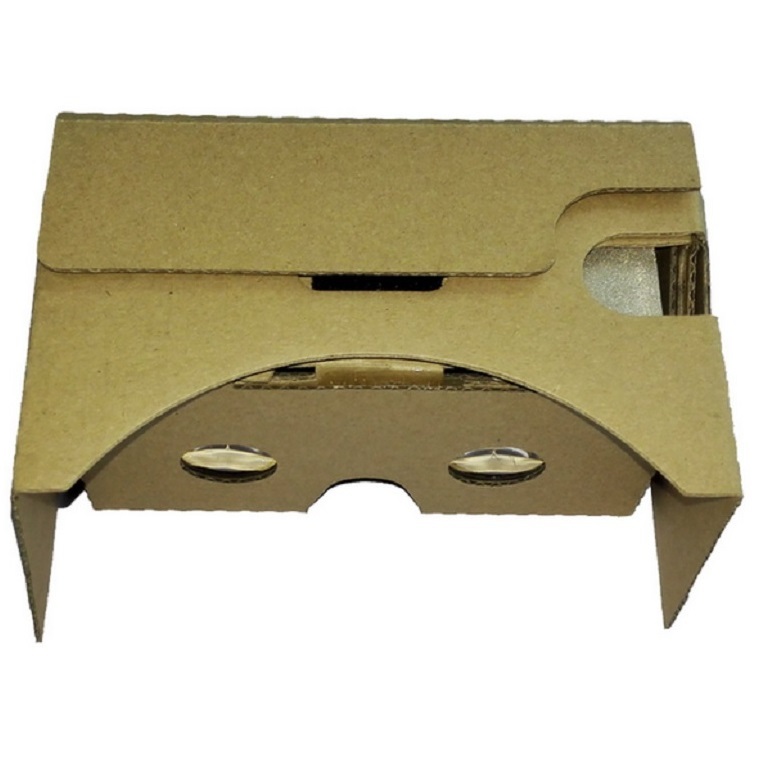 Other Google Cardboards: If you’re wary of cut-price generic cases from no-name manufacturers, and are willing to spend between $15 and $25, order your cardboard cases from I Am Cardboard, DodoCase, Unofficial Cardboard, CEOCase, or KnoxLabs. A 3D custom printed headset in which the four major parts can each be printed in a different color. As with the Goggle Tech above, the sides are open. Select colors and order here for £90 GBP, or about US $137. Delivery will take at least a month. An open-side Chinese smartphone headset that can hold phones from 4.5 to 6.0 inch screen sizes. Order from the official company site for 149 yuan (about $23) or from AliExpress for $41 or GearBest for $25. A very similar headset called Force1 is available on Amazon for $30. 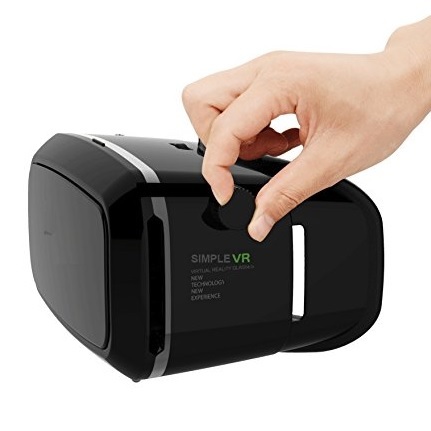 The open-sided design makes it easy to access the screen to switch apps or to interact with the applications, and allows the headset to fold flat for carrying or storage. Weighs 5.6 ounces, or 160 grams. Company claims field of view of over 100 degrees. Read our review here. A light-weight folding headset from Chinese streaming company Baofeng Moging, which also makes a top-rated enclosed headset. Folds flat, comes with a carrying case. Order for $12 from AliExpress or $7 from GearBest. In addition to pink, also comes in blue, purple, orange and black. Weight is 1.4 ounces or 40 grams and a field of view of about 90 degrees. Easier and faster to use than cardboard headsets, very light-weight, and nice and cool in the summer. No controller required, since the open design makes it easy to control applications by just touching the smartphone screen. You can order these babies from the company’s official site for $22, or, for the same price, from Amazon. The Amazon version also comes in green, white and red. A similar device is available from a Chinese manufacturer in five different colors for $14 from AliExpress and also in black and green for $12 from AliExpress. Weighs just 1 ounce, or 28 grams, and has a field of view of about 90 degrees. Read our review here. 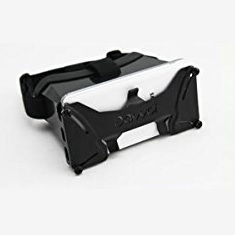 Another small, lightweight VR viewer with a cool, snake-skin style. Buy it for $17 on Amazon. It fits any smartphone and folds flat. The smallest headset on the market, from the French company Homido. Order from the company itself for 15 Euros, plus shipping — that comes out to about $30 for US customers. Or get it for $15 from Amazon. Folds flat and fits easily in pocket. No carrying case. 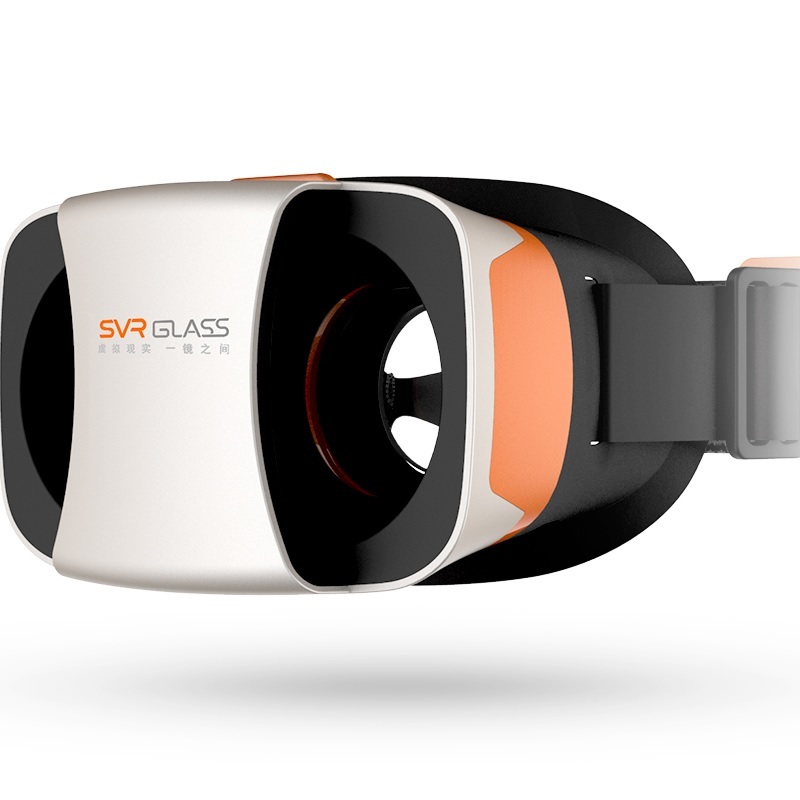 Weight is half an ounce and the company promises a 100-degree field of view. $40 on Amazon, available for iPhone 6 and Samsung Galaxy S7. An extremely light-weight folding headset from China. 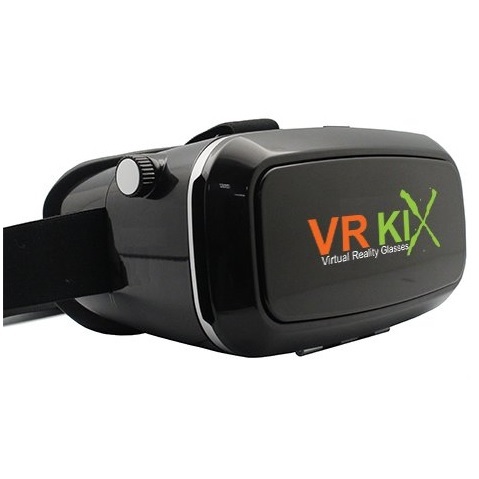 Both the focal distance and the interpupillary distance are adjustable. Folds flat and then in half, so it fits into the palm of your hand. Also comes in red and purple. 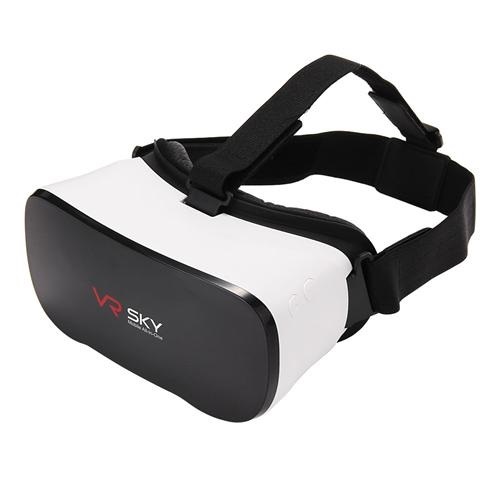 Order for $6 from GearBest. Weighs 2.7 ounces, or 76 grams. $5 on AliExpress, available for 3.5 to 6 inch iPhones and Android phones. In black, blue, pink and white. Field of view is 80 degrees. Doubles as a phone stand. The high-end of the enclosure-less headsets, the Wearality Sky uses a unique double Fresnel lens design to achieve an astounding 140-degrees field of view. As of March, the viewer was out of beta, and the company promised that retail sales would start “very soon” with a price of just under $100. Works with smartphones with screen sizes between 5 and 6 inches. Headset folds flat. Available on Amazon for $70. 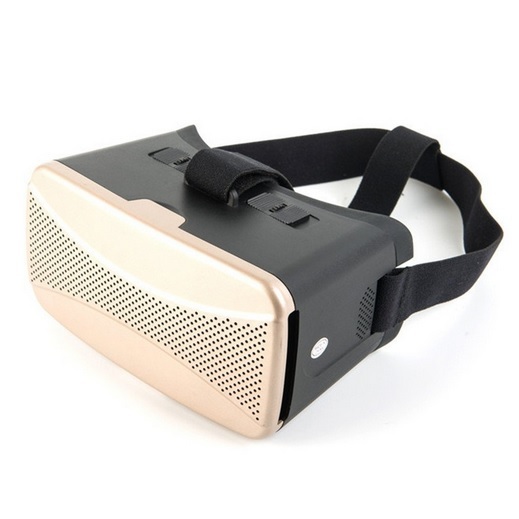 Weighs just 3 ounces, or 90 grams, and has a field of view of up to 150 degrees. 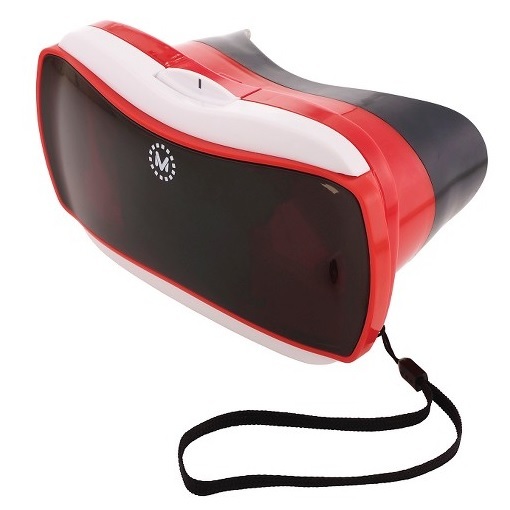 Another open-sided viewer, for $49. This colorful headset is designed to work with the 2013 Nexus 7 tablet. The case also fits the 2012 Nexus 7 tablets and the iPad Mini. Another version of this product, also $49, is designed to work with iPads and can support 2nd, 3rd and 4th generation tablets. Company boasts about the extremely wide field of view and high resolution displays. Weighs 3 ounces, or 84 grams. 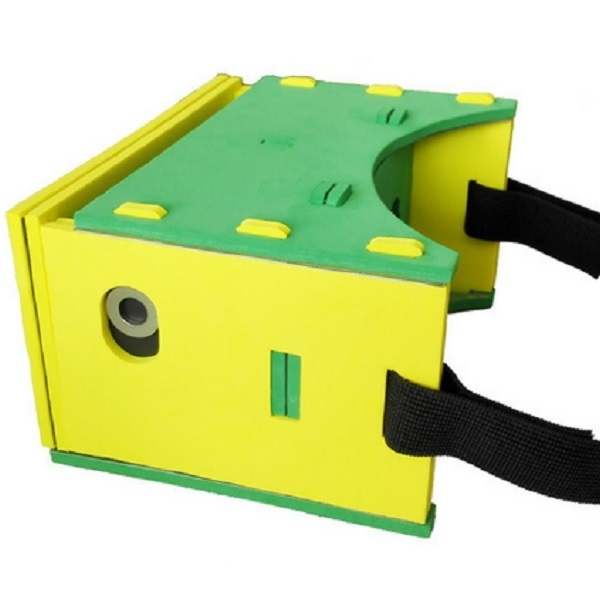 A foldable Google Cardboard headset for smartphones with screen sizes from 4.2 to 5.2 inches. Does not work with iPhone 6. Comes with headstrap. Allows easy access to phone screen. Order for $20 from Amazon. Also available in black. And also available from Newegg for $20. Watch demo video here. Weighs 3.4 ounces, or 96 grams. A Chinese smartphone headset that can hold phones from 4.7 to 6.0 inch screen sizes. 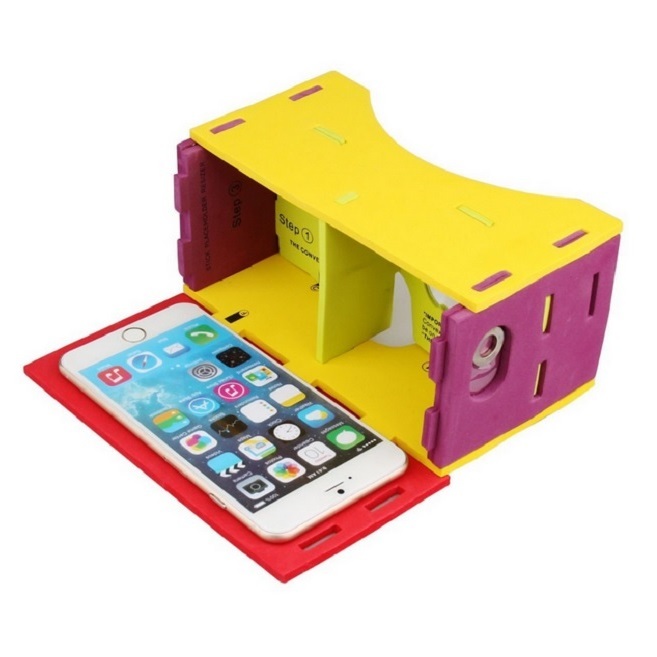 Available from AliExpress for $46 or from the parent company for just 99 yuan (around $15). Smartphone drops in very easily, and cover is translucent for augmented reality applications. 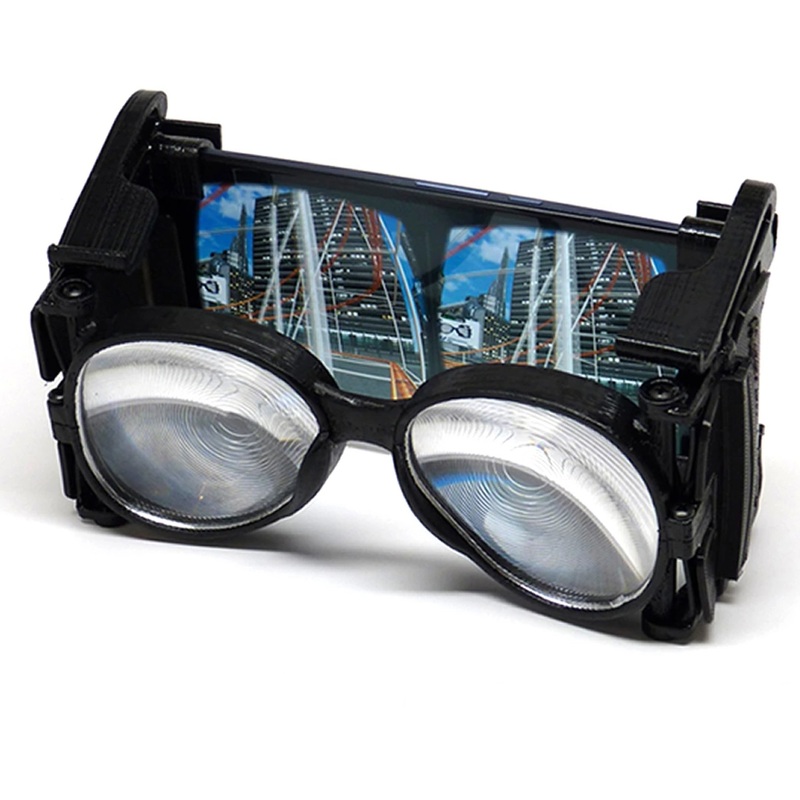 Has a 98-degree field of view, and adjustable lenses. Comes with external controller. Wide enough to fit over glasses. 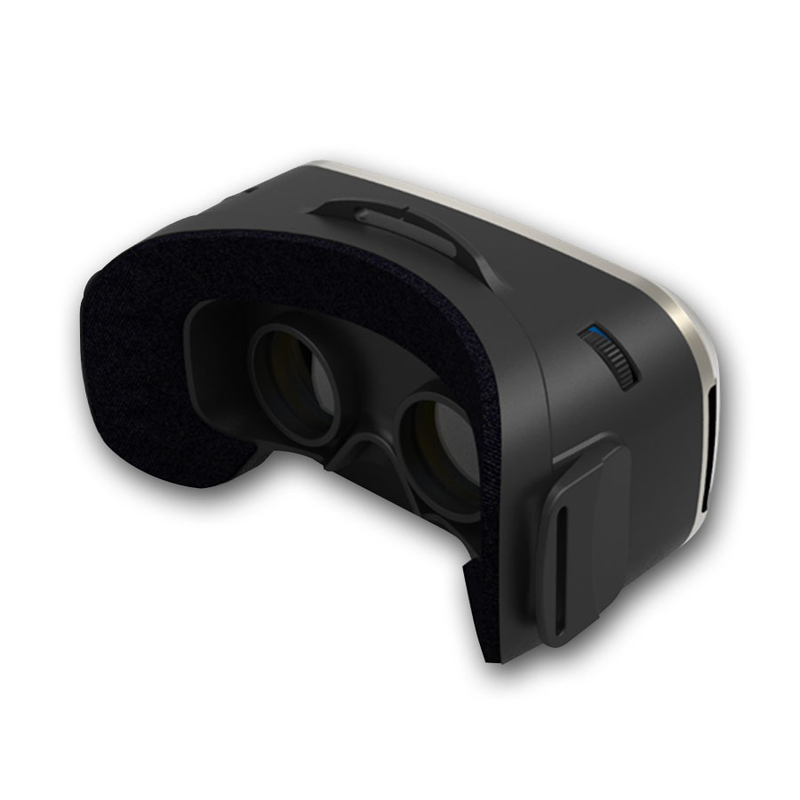 Both interpupillary distance and focal distance are adjustable. 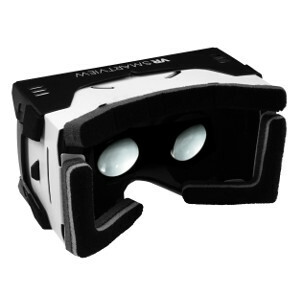 Currently one of our favorite Google Cardboard-compatible headsets. Weights 15 ounces, or 13 without the straps. Read our review here. An updated version of the company’s previous headset. Can hold phones from 4.7 to 6.0 inch screen sizes, comes with external controller. Fits over glasses. Only interpupillary distance is adjustable, not focal distance. New one-piece plastic headstrap might be uncomfortable for some. 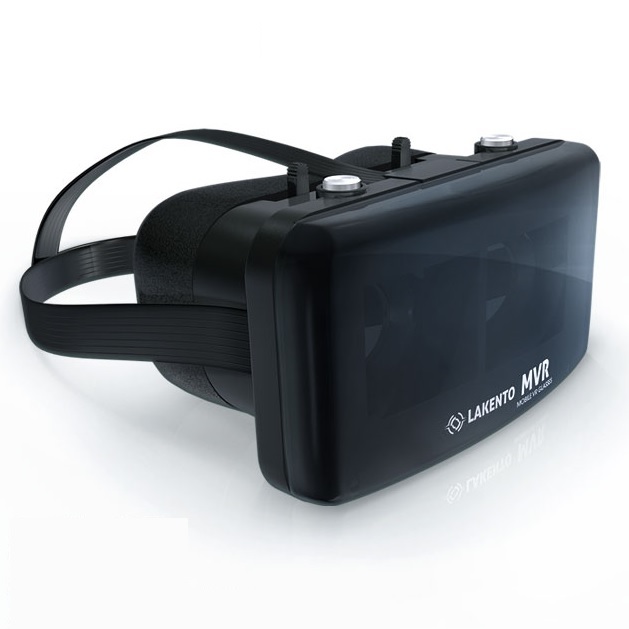 Also weighs 15 ounces — 10 without the strap, and has 98-degree field of view. Read our comparison with the previous version here. A low-cost headset from China. Order for around $21 from AliExpress or $30 from Amazon or $18 from GearBest. Fits smartphones from 4 to 6 inches. Removable front piece for augmented reality applications. 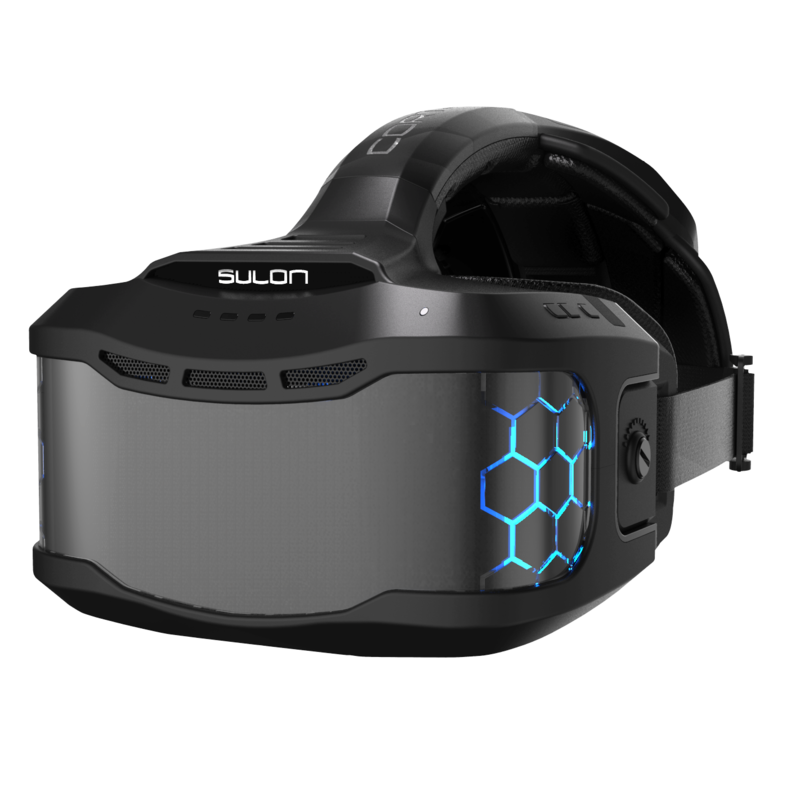 The distance between the lenses is adjustable, as is the focal distance, and the headset has built-in cooling vents and comes with an external controller. Lightweight, at 10 ounces, or 280 grams, with a field of view of 95 degrees. Currently the most advanced Chinese-made headset. Only available for around $48 from AliExpress. Fits smartphones from 4 to 6 inches. Translucent front piece for augmented reality applications. The distance between the lenses is adjustable, as is the focal distance. Built-in audio headset and volume control. Built-in touch control button. Weight is 15 ounces, or 410 grams, due to the headphones. An extremely wide field of view of 120 degrees. 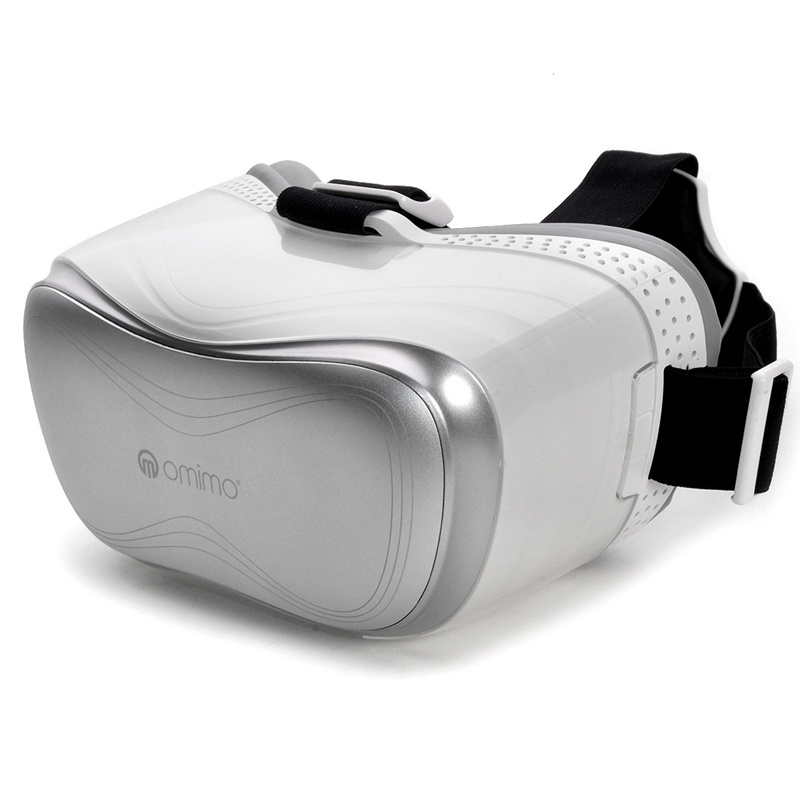 Another headset that came out of a successful crowdfunding campaign, the Cmoar has a built-in controller right on the headset, as well as a button for Google Cardboard apps. It also has external sensors to reduce drift and latency and works with a phone’s built-in camera for augmented reality applications. It fits smartphones with screen sizes between 4 and 5.7 inches. Padding attaches with Velcro and can be easily removed and cleaned or replaced. The company, based in Poland, also says that it’s 48mm lenses — compared to the 25mm in standard Google Cardboard headsets — allow for a wide field of view. Available for preorder for $99 from the company. Has a field of view of 105 degrees. The most basic budget plastic smartphone case. Not the most attractive of headsets, but sturdier and more comfortable than cardboard at about the same price. Fits smartphones from 4 to 5.7 inches. Focal distance and pupil distance are both are adjustable. 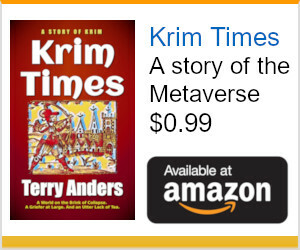 Order it for $10.89, with free shipping, on Amazon. Weighs about 8 ounces, not including smartphone. An industrial-looking headset that fits smartphones from 4 to 6 inches in size. Does not come with a controller. The distance between the lenses is adjustable. Order for $42 from Amazon or $46 from AliExpress. This came out last year, and the company’s website has since been shut down. Weighs 14.6 ounces, or 414 grams. 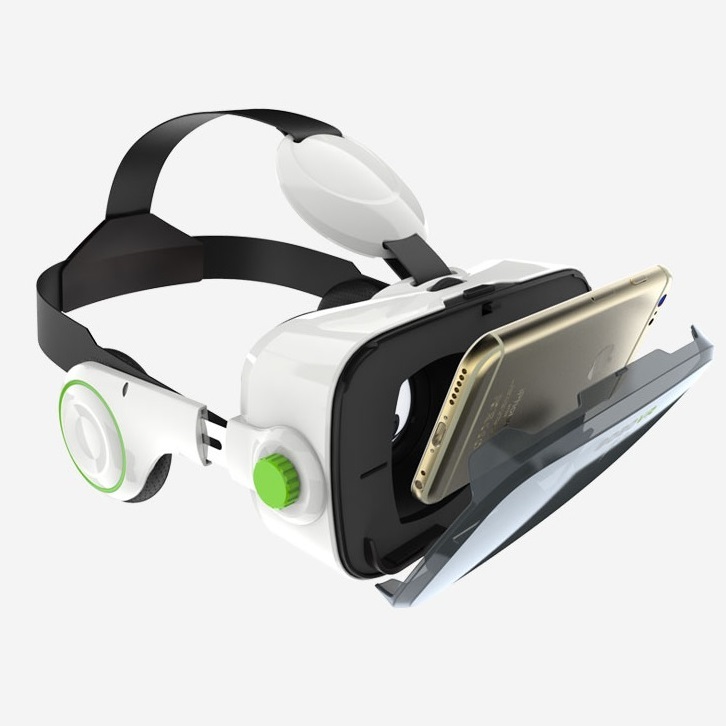 Very easy-to-use, lightweight headset that fits smartphones 4.7 to 6.0 inches in size. Does not come with a controller. Weighs just under 9 ounces, or 249 grams. Field of view is 96 degrees. Read our review here. 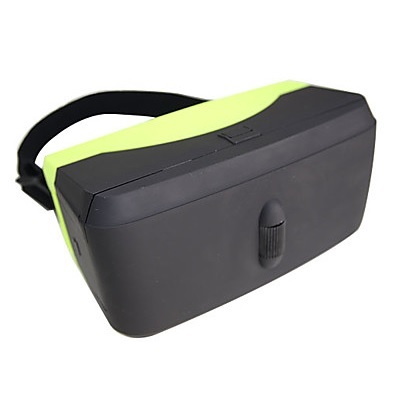 An all-plastic Google Cardboard compatible headset with a capacitative touch button and a silicone flap to hold smartphone in place. Comes with a clear plastic carrying case. No straps, lenses not adjustable. Easy to clean. Works with phones with displays from 4 to 6 inches. Available in blue, red, orange, green, and black. Manufactured by I Am Cardboard and sold for $30 plus shipping on its own site, $35 at Amazon. Weighs 9.28 ounces, or 263 grams. Field of view seems to be around 96 degrees. Read our review here. 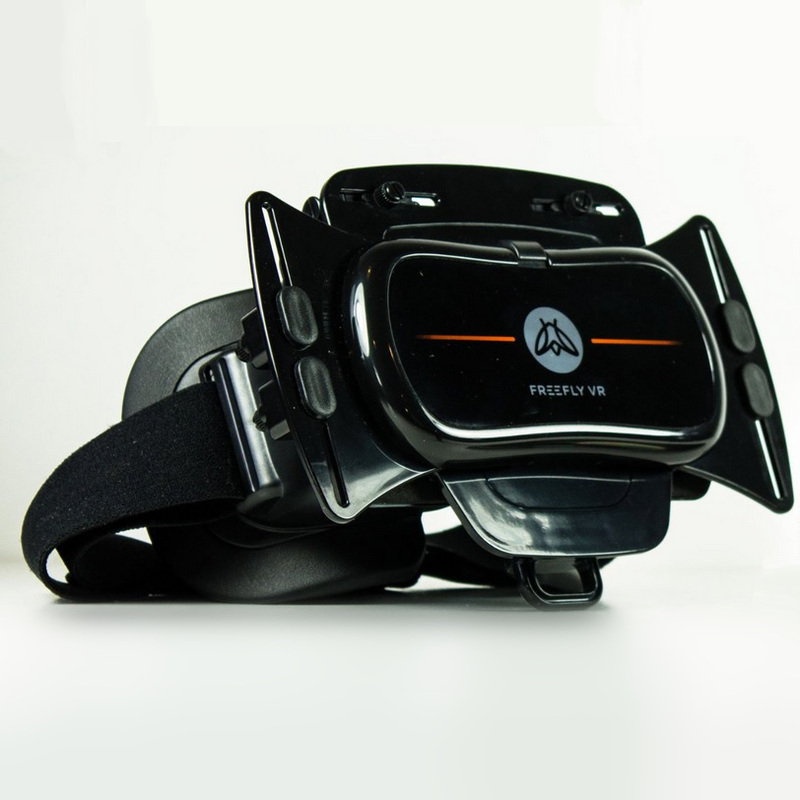 One of the original smartphone-based headsets, the Durovis Dive 5 headset is available for 50 Euro (about US $57) from the company or $80 from Amazon and comes with a free magnet upgrade kit for full compatibility with Google Cardboard applications. The updated Durovis Dive 7, which can hold a 7-inch tablet, is 90 Euro (about US $102). The Durovis Dive also has its own companion applications. Weighs 11.4 ounces, or 320 grams, and has a field of view of 90 degrees. A Russian-made headset, $135 without an external controller and $150 with, available for order from the company. Or order for $130 from Amazon. The company says the extra-large glass lenses are custom designed to compensate for different types of vision. However, the distance between the lenses cannot be adjusted. Weight is 4.2 ounces or 120 grams and the field of view is a very impressive 110 degrees. Read our review here. A Chinese-made headset, also sold under many other brand name, that is currently one of our top recommendations. This headset costs $31 on Amazon without a controller and $20 on GearBest. It is also sold under the FiiT brand name, for $26 on Amazon without a controller and $32 on Amazon with a controller. AliExpress has several of these headsets bundled with a variety of different controllers. You can get it for $23 with a tiny black controller, $25 with a slightly larger white controller, or $28 for a black-and-red two-handed gamepad. Fits over glasses. Can adjust distance between lenses. Can adjust focal distance of each lens individually. Very comfortable. Very easy to insert phone. Fits over protective phone cases. Room for power and audio cords. Very lightweight. Very wide field view. Weighs 10 ounces or 283 grams. Very wide field of view at 102 degrees. 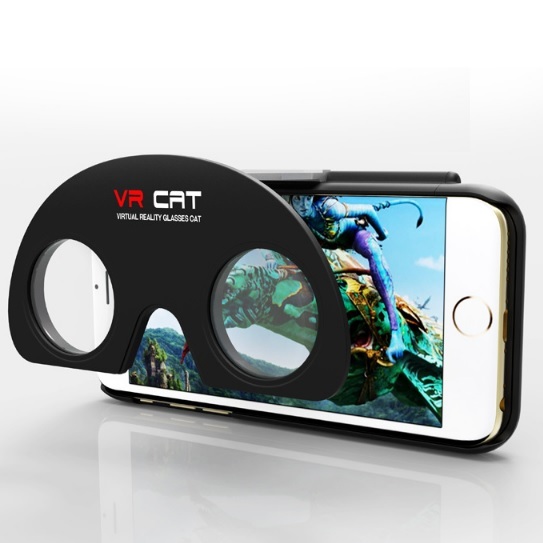 Supports phones with screen sizes between 4.7 and 6.1 inches, and boasts extra-wide lenses for a very large field of view. Order for $79 from the company, and $79 on Amazon. Price includes external controller. 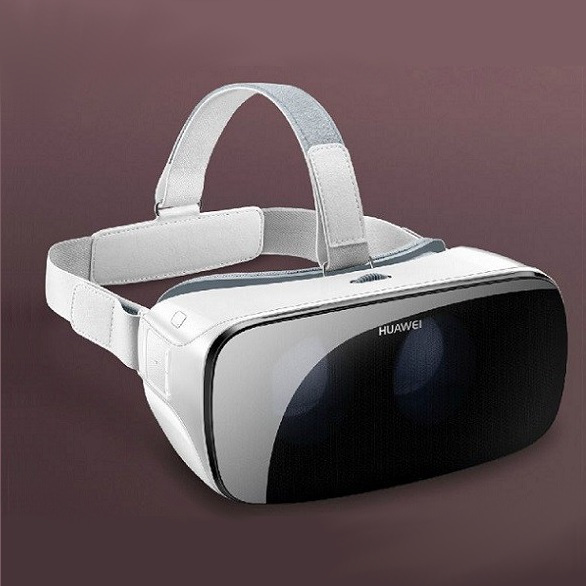 I have this headset, and the image quality with a Galaxy S6 is amazing, but it is very difficult to get the phone into this viewer. It weighs 12 ounces, or about 340 grams and has an amazing 120-degree field of view. Read my review here. 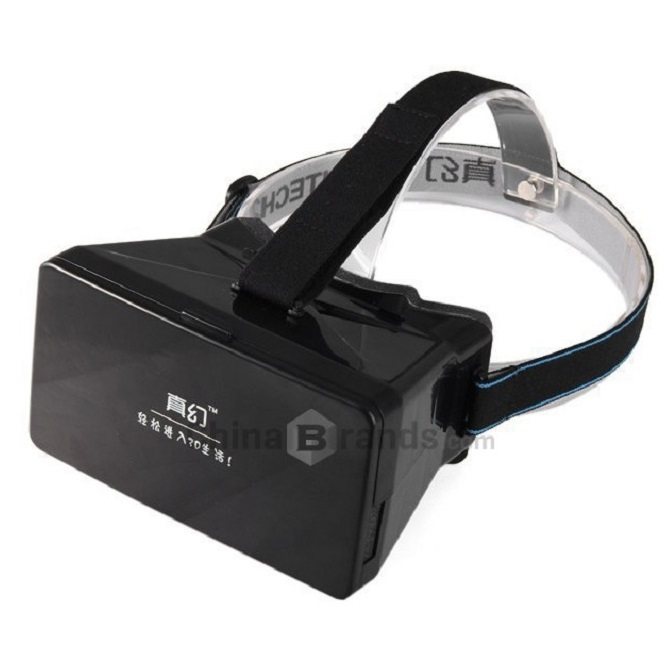 Another set from a Chinese manufacturer, this headset fits smartphones with screensizes of 4.7 to 6 inches. Order for $80 from AliExpress. Weight is 9.9 ounces or 280 grams and field of view is reportedly 98 degrees. This headset is made by Gmyle, a Santa Clara, California-based company that is best known for stylish cases for smartphones, tablets and laptops. Order it for $21 from Amazon or $26 directly from Gmyle. Focal length and pupillary distance are both adjustable. 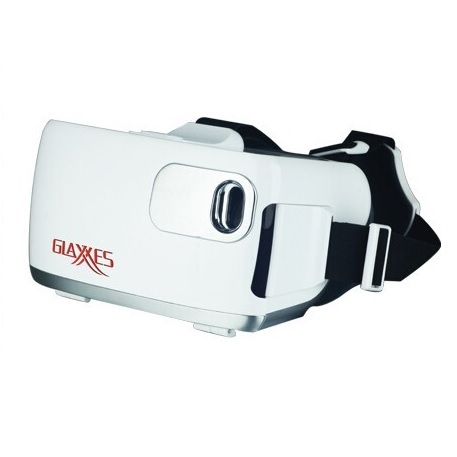 Comes with headstrap, fits phones with screensizes of 3.5 to 5.6 inches. Does not include a button or external controller, so one needs to be bought separately. Weighs 14.1 ounces or 400 grams and has a field of view of about 100 degrees. 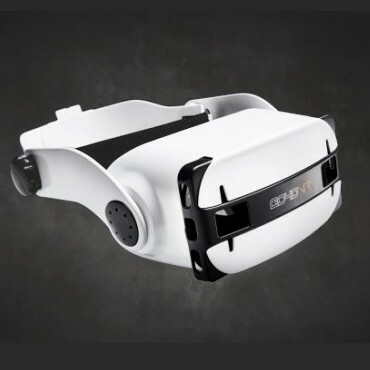 The enclosed version of the headset from Goggle Tech. Order for $99 from the company. Adjustable lenses. Supports smartphone screen sizes of 4 to 6 inches. Field of view of 70 degrees. Available in black and gold for $23 from Amazon, fits smartphones from 4 to 5.7 inches. 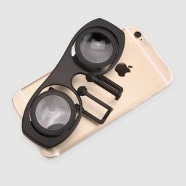 Has foam padding, adjustable distance between lenses, and little suction cups to hold the phone securely in place. does not come with a controller, so if you plan to use this for interactive games, you will need to buy a separate one. Weighs 12 ounces, or 340 grams. 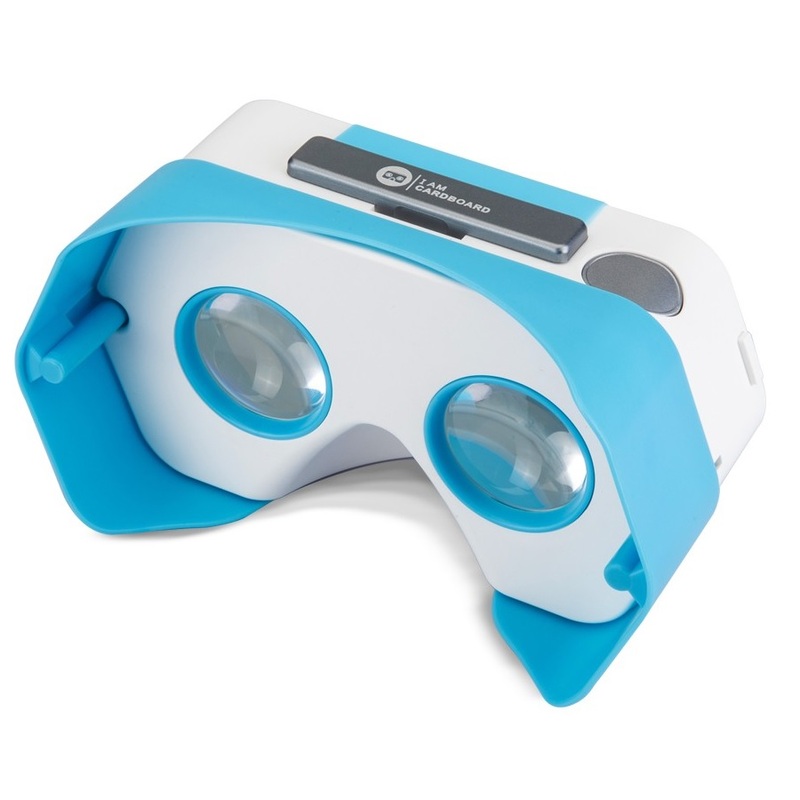 Not quite a Google Cardboard, but a virtual reality headset nonetheless, Hasbro’s My3D Viewer works only with iPhone and iPod touch devices up to 4G. 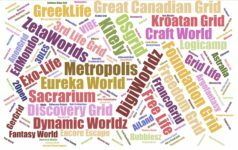 There’s a small number of free and paid apps to download. Buy for $6.65 from Amazon with free shipping on orders over $35, or check out the other sellers on Amazon in black and also in white at variety of low prices. The product has been discontinued and its associated website shut down, so this is a collector’s item, folks. A well-known and reasonably well-reviewed headset. Adjustable lenses. Controller needs to be bought separately. 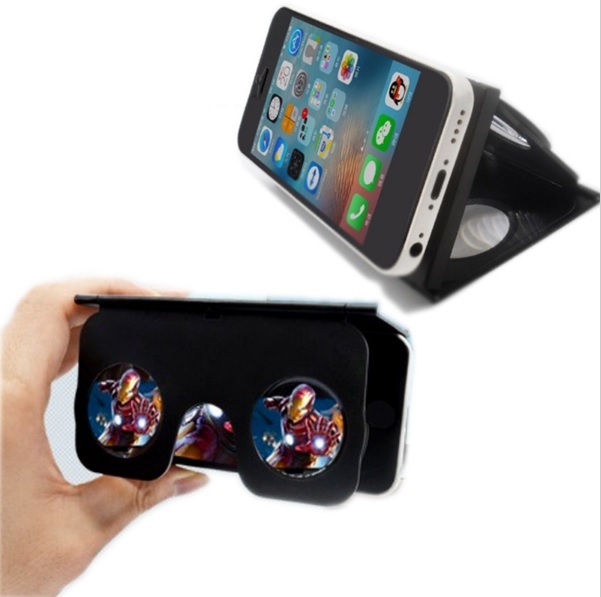 Comes with its own video player application, as well as a curated game center app, but can be used for any Google Cardboard app or 360 degree video. Designed to hold phones with screen sizes between 4 and 5.7 inches. Like the Durovis Dive above, this is one of the better-known brands in the space. Available for 70 Euro plus shipping from the company or for $70 from Amazon. Weights just 9 ounces, or 250 grams, and has a 100-degree field of view. A Chinese-made headset that fits smartphones with 3.5 to 6.0 inch screens. Order for $30 from AliExpress. High-quality optics, but may get uncomfortably warm and fog lenses. Suction cups don’t hold phone in place well. No button, but comes with a Bluetooth-based remote controller. Weight 14.1 ounces or 400 grams. Impressive field of view of 110 degrees. 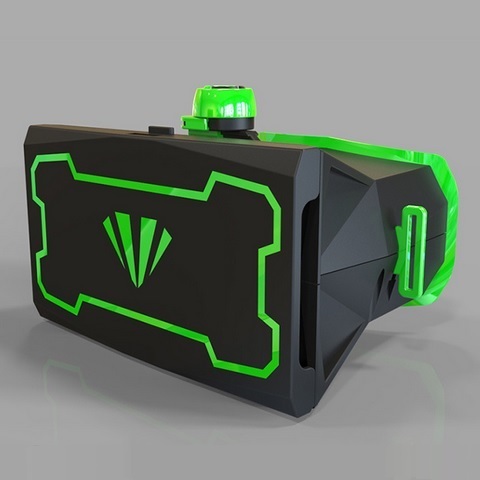 A black-and-green angular headset that fits any brand smartphone with screen sizes from 3.5 to 5.6 inches. Order for $20 from AliExpress or $40 from Official vrX. 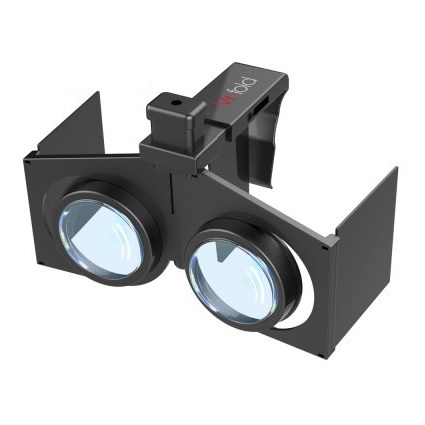 Uses large, 40mm lenses, and the distance between the lenses is adjustable. Weighs 8 ounces, or 225 grams. A colorful yet minimalist headset that comes in white, green or yellow. Order for $10 from Light in the Boxs. Fits smartphones from 4 to 5.8 inches. Watch unboxing video here. Weighs 10 ounces, or 290 grams. A standard smartphone headset with adjusts both the distance from the lenses to the phone, as well as the distance between the lenses. Designed to fit phones with 4 to 6.0 inch screen sizes. Order for 50 Euros ($54) from the company. $10 and up. A fun, light, easy-to-use headset that comes in white, yellow, pink, light green, and light blue. Fits smartphones with screen sizes between 4.5 and 5.5 inches. Order for $10 from AliExpress, $11 from GearBest, and $12 from Amazon and $14 on GeekBuying. Weighs just 6 ounces, or 175 grams and has a field of view of 96 degrees. 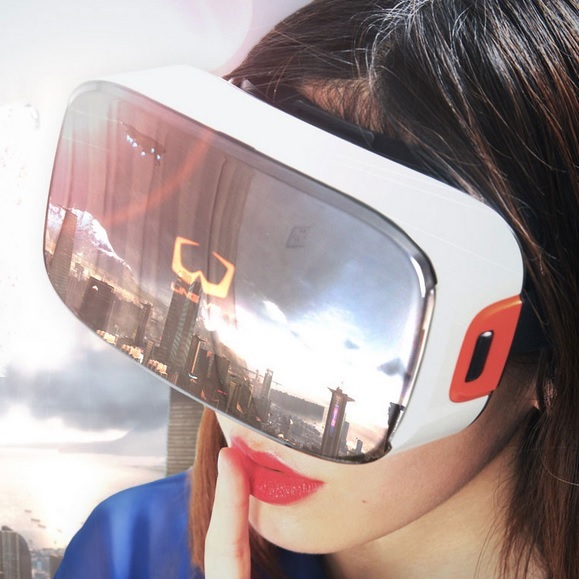 This Chinese headset broke VR fundraising records in its crowdfunder this year with a sleek design. It is designed to hold phones with screen sizes between 5.0 and 5.5 inches. Lenses are adjustable. It comes with a wireless controller and a couple of dedicated Android apps — an app navigator and a virtual theater for watching movies. Order the white version on AliExpress for $47. or GearBest for $41. 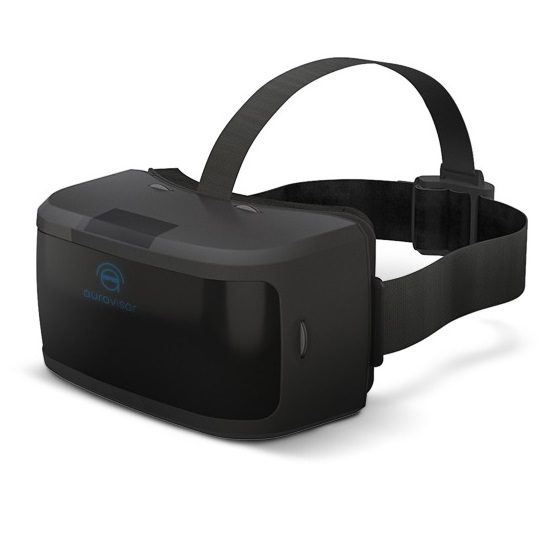 There is also a sister headset, the black Ling VR OS, for around $400, which is an Oculus Rift-style peripheral that connects to a PC. Light and comfortable, but does not fit over glasses. Weighs 12.5 ounces, or 355 grams, and has a field of view of 90 degrees. 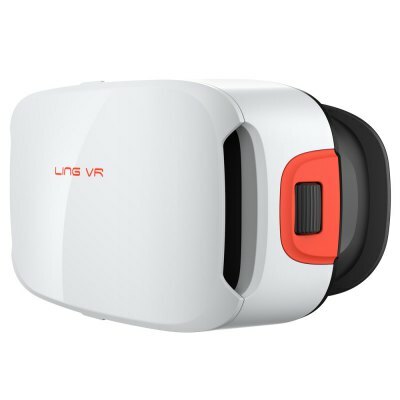 A successor to the previous Ling VR headset, with a slightly improved latch that holds the smartphone in place and anti-fog coating. Buy from GearBest for $44, or AliExpress for $50. Read our comparison of these two headsets here. Light and comfortable, but does not fit over glasses. 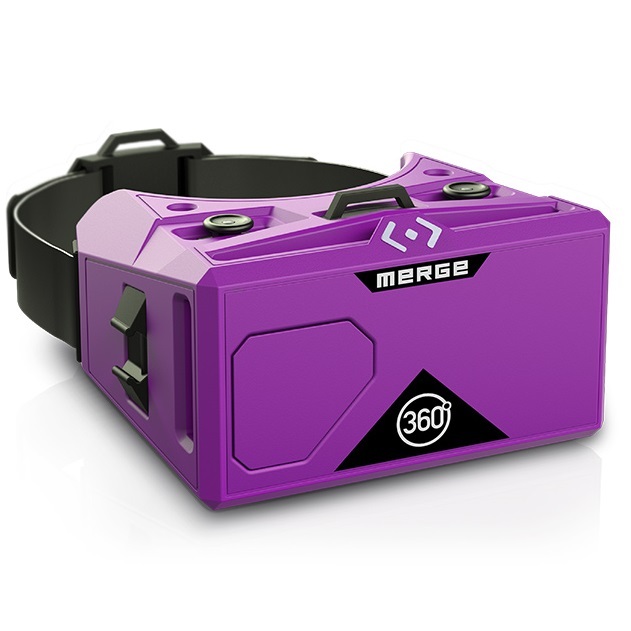 One of the few headsets on this list made by an American company, Texas-based Merge Labs, Inc. This headset is made of soft foam and has two built-in control buttons. Available for from Amazon for $99. Bluetooth controller is sold separately. Distance between the lenses is adjustable. Weighs 14 ounces, or 397 grams. Field of view is about 90 degrees. 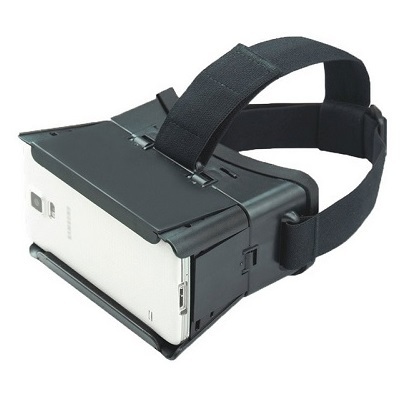 A sleek new virtual reality headset, designed to hold phones with screen sizes between 4.7 and 5.5 inches. 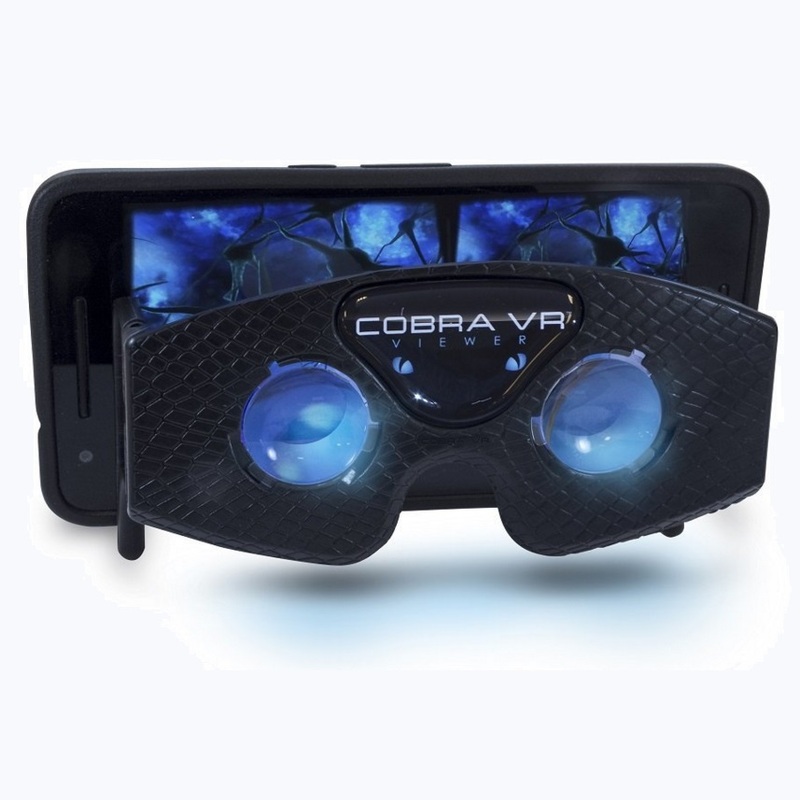 Lenses are adjustable and the device supports tap controls without a separate controller. Order for $89 from Amazon. 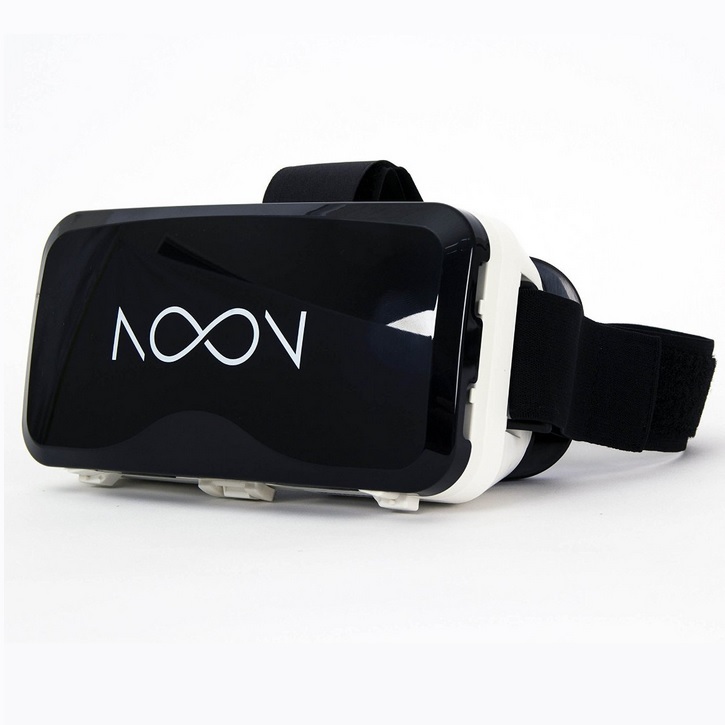 Comes with access to the company’s own Noon VR app, as well as to the Koom VR sharing and streaming service. Another Chinese smartphone headset that can hold phones from 4 to 6 inch screen sizes. Order from the official company site for 297 yuan (about $46) or from AliExpress for $78. Weighs 7 ounces, or 200 grams. 2,399.00 rupees. 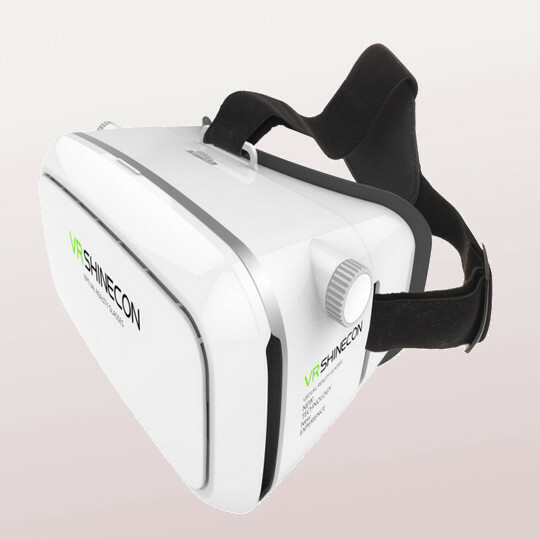 A re-branding of the Shinecon headset by India’s Irusu Technologies. Holds phones from 4 to 6 inch screen sizes. Weighs 13.5 ounces, or 376 grams. Field of view of just 80 degrees. 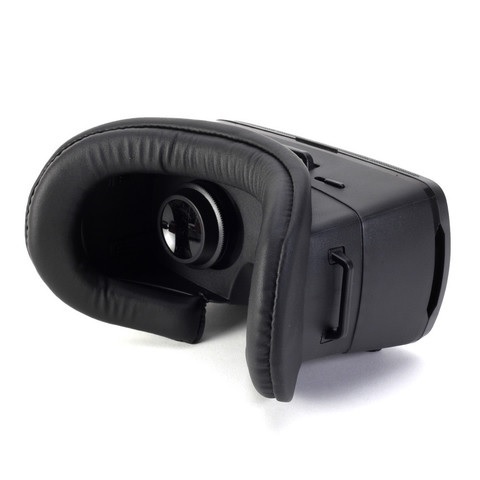 If you’re looking for something a little more stylish and grownup in a virtual reality headset, check out this unit made from PU leather and microfiber. PU leather, in case you’re unfamiliar with the material, is a combination of leather and polyurethane. So, not real leather, but leather-adjacent. 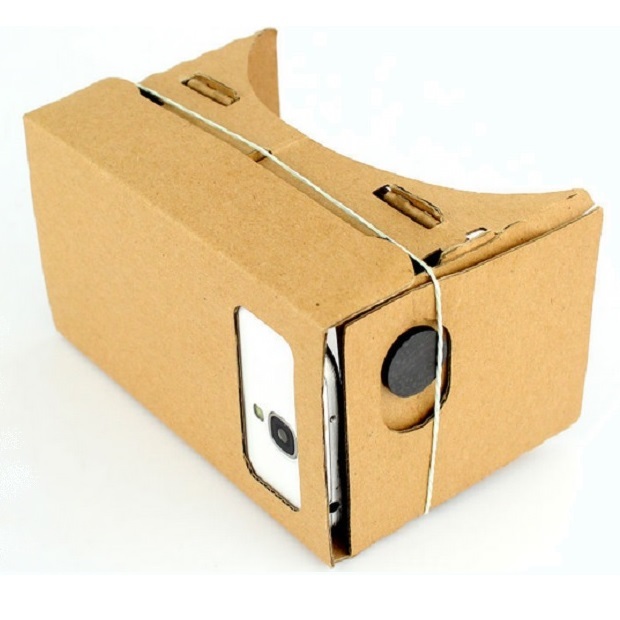 This is the standard Google Cardboard configuration, with a magnet on the side, and non-adjustable lenses. Get it from TinyDeal for $8.70, with free shipping, and delivery estimated in 30 days. Also available in bright pink and gray for $12 from Amazon. This headset is very similar to the one above, except the construction is slightly different, and it uses different colors. The headstrap is not pictured but is listed in the product description. Buy it from AliExpress for $9.99, with free shipping, and delivery scheduled for 15 days. Similar models also available on Amazon: Dealpeak for $10.99, iSaddle for $27.99 and AKPower for $26. 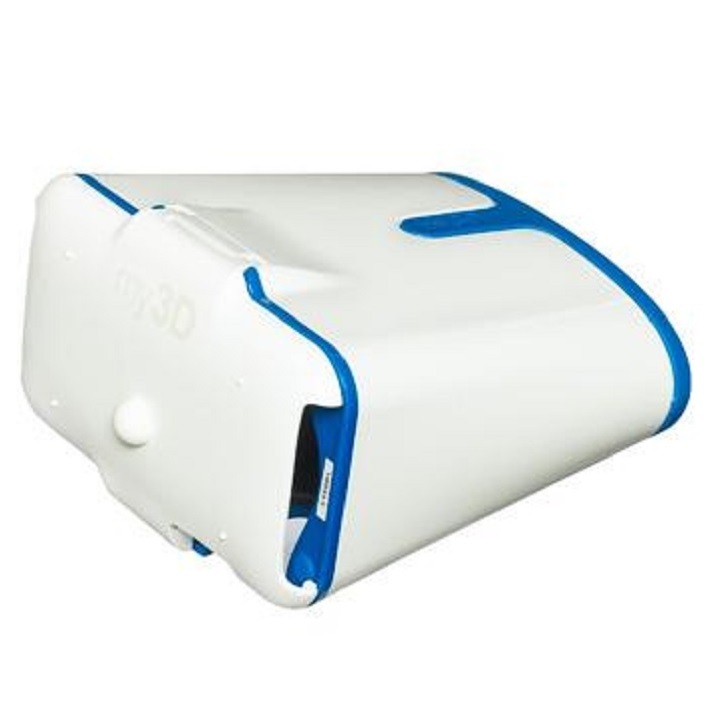 This is a hard plastic case with foam padding and a headstrap designed to hold phones of 3.5 to 5.6 inches. It is available from AliExpress for $9.46, with free shipping, and estimated delivery within 15 days. It does not have a control button, so interacting with apps requires either an external Bluetooth controller — or opening the case and tapping on the screen. The distance between the lenses is adjustable, but not the distance between the lenses and your eyes. Also available from other sellers on AliExpress for $8.99 for delivery within 23 days and from DHgate for $9.89 with free shipping and six week delivery. Weighs about 9 ounces, not including smartphone. 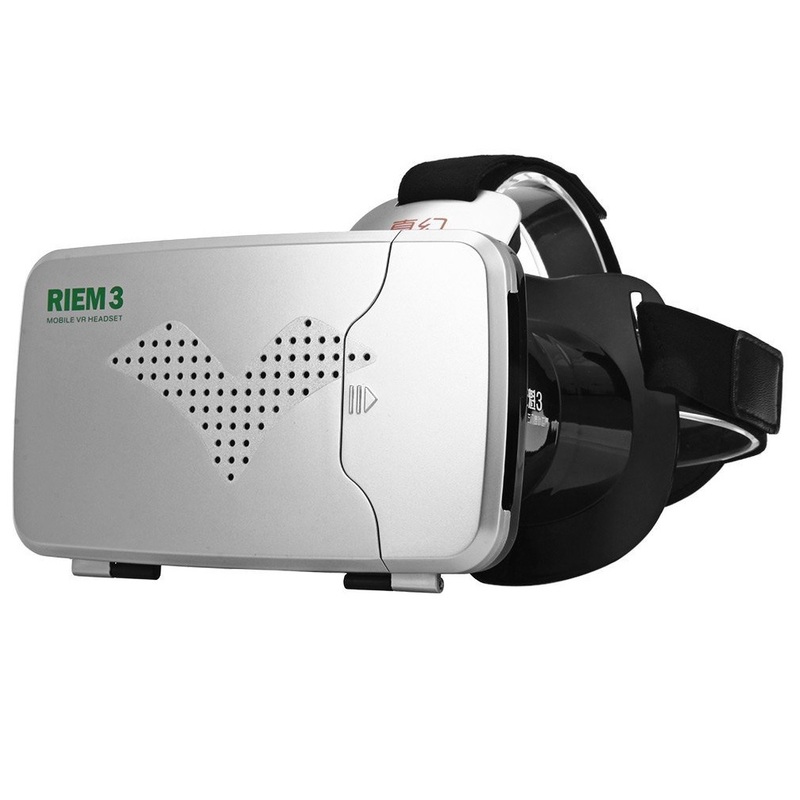 The Ritech Riem II is made of sturdy plastic with foam padding. Order for $19 from Amazon. or $11 from AliExpress or $11 from GearBest. This adjustable headset works with glasses and comes with a built-in magnet and separate wireless controller and fits phones with screen sizes of 3.5 to 6 inches. Weighs 6.7 ounces or 190 grams. Field of view is reportedly 68 degrees. The updated version of the Ritech Riem is available for $18 from Amazon or $14 from GearBest or $15 from AliExpress. Comes in silver or white. 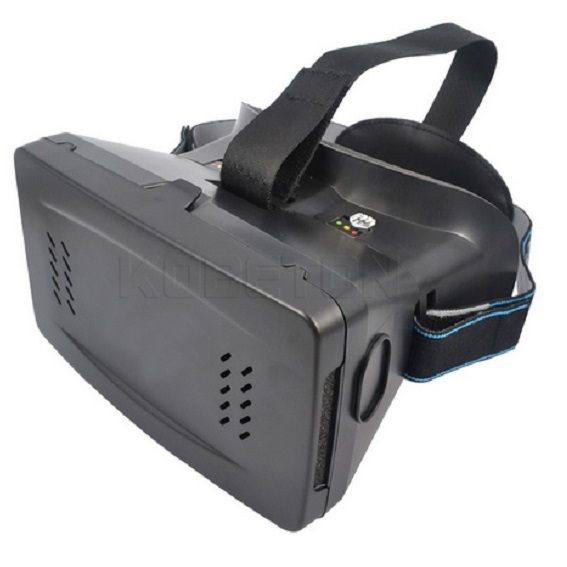 Has adjustable focal distance and interpupillary distance, remote control included. Built-in magnet has been replaced with touch button, and straps and lenses upgraded for better comfort. Flip cover holds smartphone in place with small suction cups. Fits phones with screen sizes of 3.5 to 6 inches. Weighs 8 ounces, or 226 grams. The cutest headset for under $10, this is the same as Google Cardboard V1, complete with magnet on the side — except it’s made from soft and light-weight EVA foam instead of cardboard. Buy it from AliExpress for $7.87, with free shipping, and delivery scheduled for 25 days. Don’t expect to be able to adjust anything. Similar glasses are available from Amazon at slightly higher prices: Soyan for $12.88, Paladia for $18.58 and I Am Cardboard for $30. A standard smartphone headset with adjusts both the distance from the lenses to the phone, as well as the distance between the lenses. Designed to fit phones with 4.5 to 6.0 inch screen sizes. Order for $59 from Amazon. 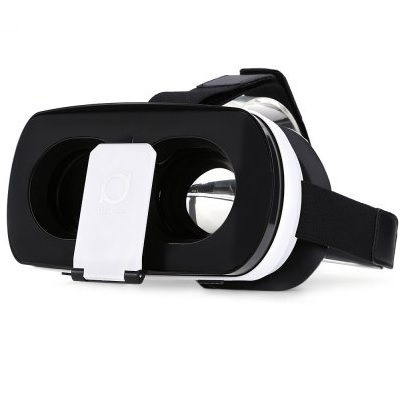 A sleek new headset from China, available in both black and white, with three different lens adjustment options. 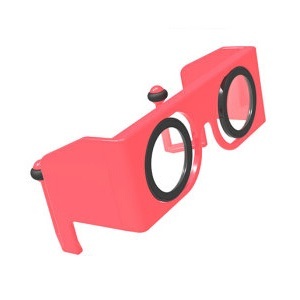 Can adjust the distance to the lenses, the distance between the lenses, and, according to this AliBaba product page, the focus of the individual lenses. Available from GearBest for $20, AliExpress for $21 and from Amazon for $29. Fits smartphones with screens of 4 to 6 inches. Read our review here. Weighs 13.5 ounces, or 380 grams. 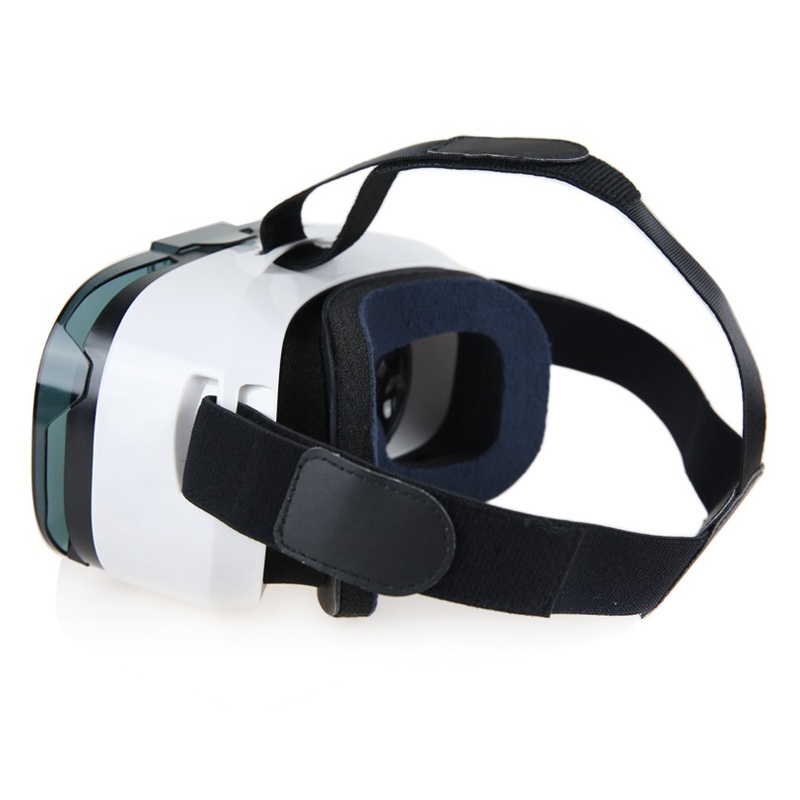 Noticeably narrow field of view, more suitable for watching movies than playing games. A new headset from China, just off a successful crowdfunding campaign, with excellent customer reviews. 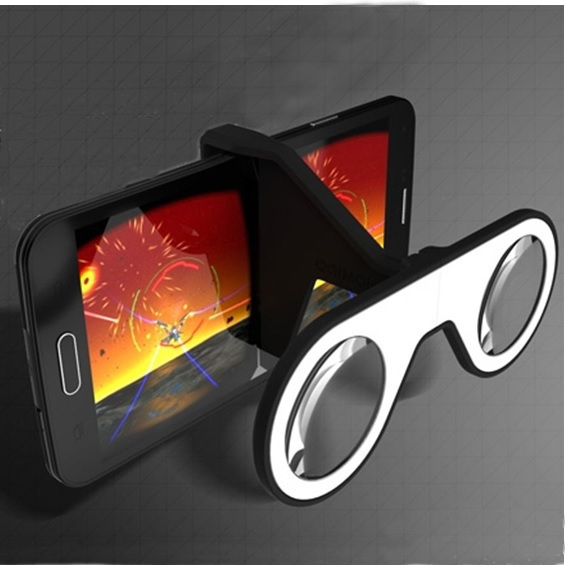 Has a partly-open front for augmented reality or other applications that require the use of the smartphone’s camera. Can adjust not only the distance between the lenses, but also the focus of each lens separately. Designed to hold phones with screen sizes between 4.7 and 6 inches. Comes with a controller. Order from GearBest for $66 , for $58 from DealsMachine, for $70 from AliExpress, or, if you’re in China, 269 yuan ($42) directly from the company. Weighs just 9.7 ounces, or 275 grams, and has a 96-degree field of view. 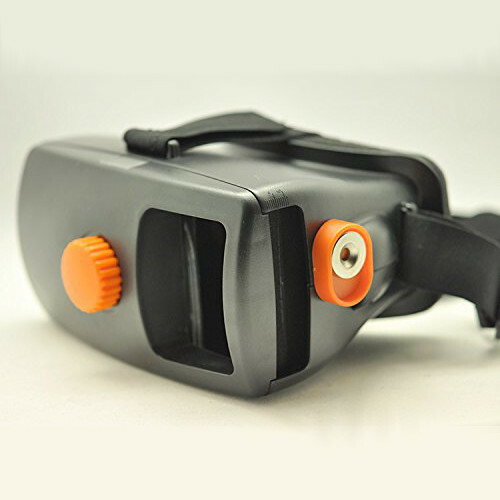 A sturdy plastic headset with orange accents and adjustable focal length and padding. Fits smartphones up to 5.3 inches in size. Available for $34 from Amazon and $30 from CEOCase. Weighs 13.5 ounces, or about 380 grams. 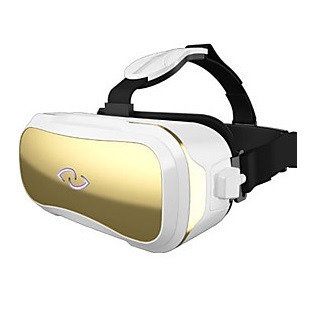 A bright-colored headset from Mattel that is fully compatible with the Google Cardboard standard and can play any of the hundreds of the virtual reality apps in the Google Play store, as well as YouTube’s 360 videos. However, the headset can also play the company’s proprietary apps as well as its $15 “experience reels,” which are sold separately. Available for $30 from Target, Walmart, and Amazon, with shipping scheduled for later on in October. The lenses are not adjustable. Great reviews, a number one best-seller in Amazon’s novelty toys and games. Field of view reported at 98 degrees. 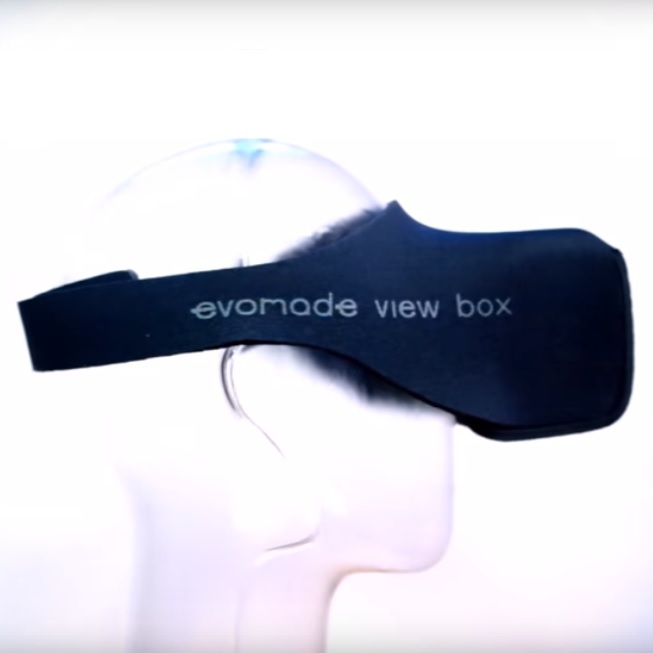 A soft, foldable headset made from neoprene by Swedish company Evomade. Product of a successful Kickstarter campaign, fits phones from 3.5 to 6.7 inches in size. The distance between the lenses is adjustable. Order for $35 plus shipping from the company. Field of view is 90 degrees. 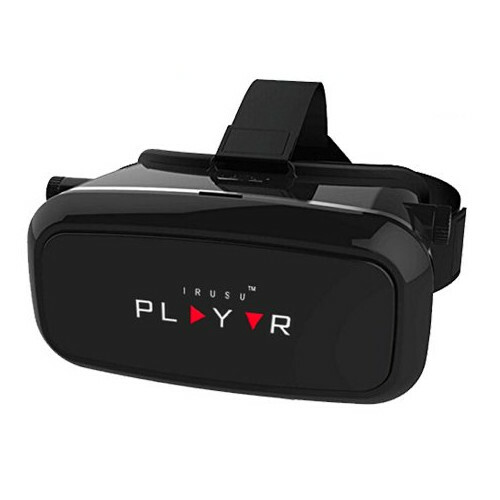 A $39 headset that can hold 4.7 to 6.1 inch smart phones. Comes with a wireless controller. 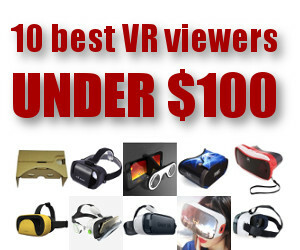 Similar products include the well-reviewed, $37 Sunnypeak headset, the controller-less VR Box headset for $24, the Innori for $35, the Teefan for $36, and the brand-free Goodo for $36. Weighs 18 ounces, or about 510 grams. Read my Sunnypeak review here. A $50 headset with adjustable lenses and foam padding. Designed to hold phones with screen sizes between 3 and 6 inches. Order from Amazon or directly from the company. The headset doesn’t have buttons that allow the user to interact with apps, so an external controller is required. This headset fits slightly larger phones, but it’s unclear from the description whether you can adjust the lenses. Buy it from AliExpress for $9.75, with free shipping, and delivery within two months. Weighs 14 ounces, or 400 grams. A customizeable headset made in Poland. 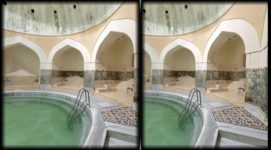 The company claims to have a unique dual lens system that causes less image distortion and allowing for a wide field of view. 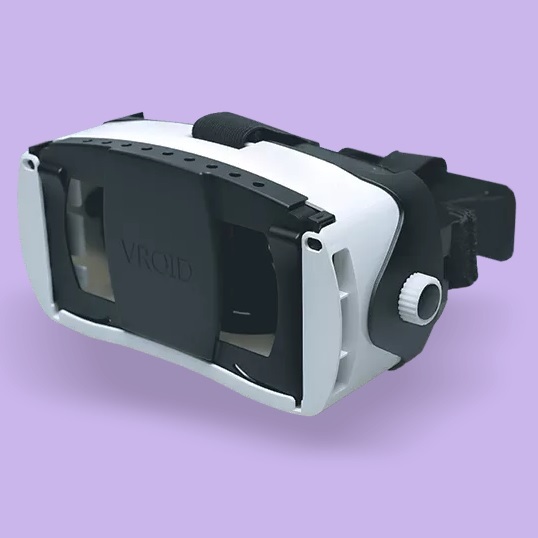 There are two buttons on the headset, one for Google Cardboard applications and the second for apps designed specifically to work with the Vrizzmo. Fits cellphones with screen sizes between 4.5 and 5.7 inches. Available directly from the company for 60 Euros (about US $67). 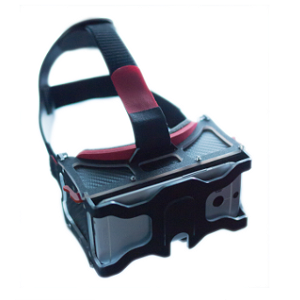 Weighs just 9.5 ounces, or 270 grams, and has a 105-degree field of view. A Korean headset that can hold smartphones as big as the iPhone 6s Plus. The distance between the lenses is adjustable, and so is each lens individually. Folds down into a box 2.5 inches deep. Buy it for $79 from Amazon. Comes in black-and-white and has two interchangeable trays for different sized phones. Weighs 11 ounces, or 307 grams. 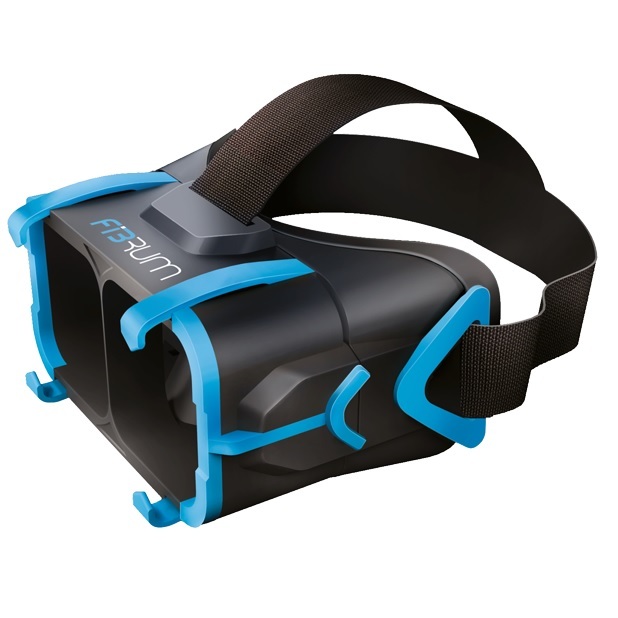 Field of view is 100 degrees, according to the company. 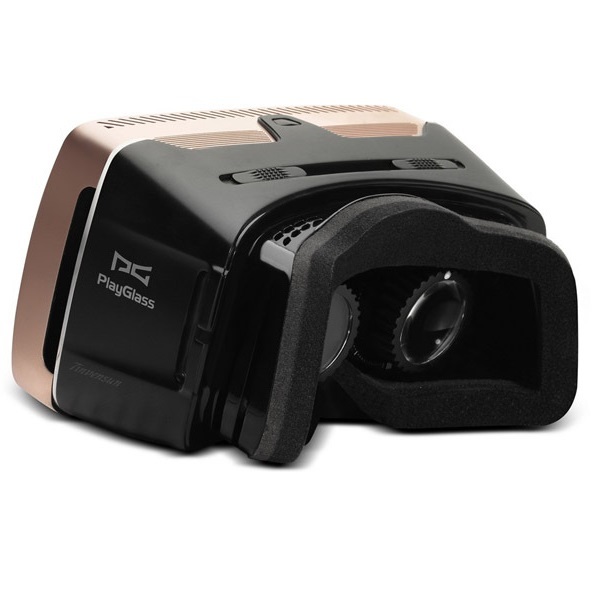 A boxy virtual reality headset from Australia’s Phenomec that fits smartphones from 4.7 to 5.7 inches in size, with extra-large lenses for a wider field of view. Order from the company for AUS $60 (around US$42). The focus is adjustable and the lenses are 37mm. It’s made from lightweight polyproplene sheet plastic and ships flat. Field of view is 110 degrees. This headset is similar to the one above, except instead of being made from a leather-like material, it’s made from a wood-like material. Order it from TinyDeal for $9.77, with free shipping, and estimated 30 day delivery. These headsets typically are sold by a smartphone manufacturer and are designed to work with only their smartphones. Suggested retail price $200. Built-in, 639 PPI dual display. Connects to an LG G5 smartphone via a USB cable. Extremely limited app selection. Buy for $200 from LG, $200 from B&H. Weighs 4.1 ounces or 116 grams, and has a field of view of 80 degrees. Works with Huawei P9 and P9 Plus smartphones as well as the company’s Mate 8. 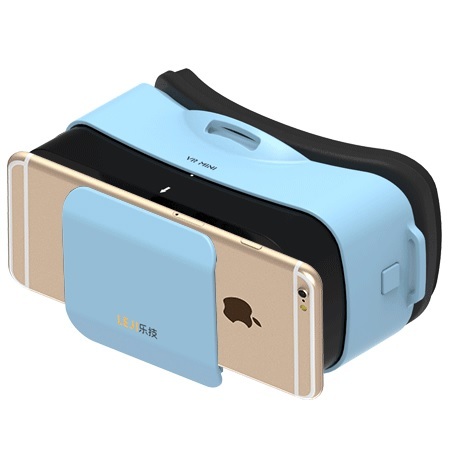 Includes touchpad and back button, and a Chinese-language virtual reality environment and app store. Weighs 11.6 ounces, or 330 grams. Field of view is 95 degrees. 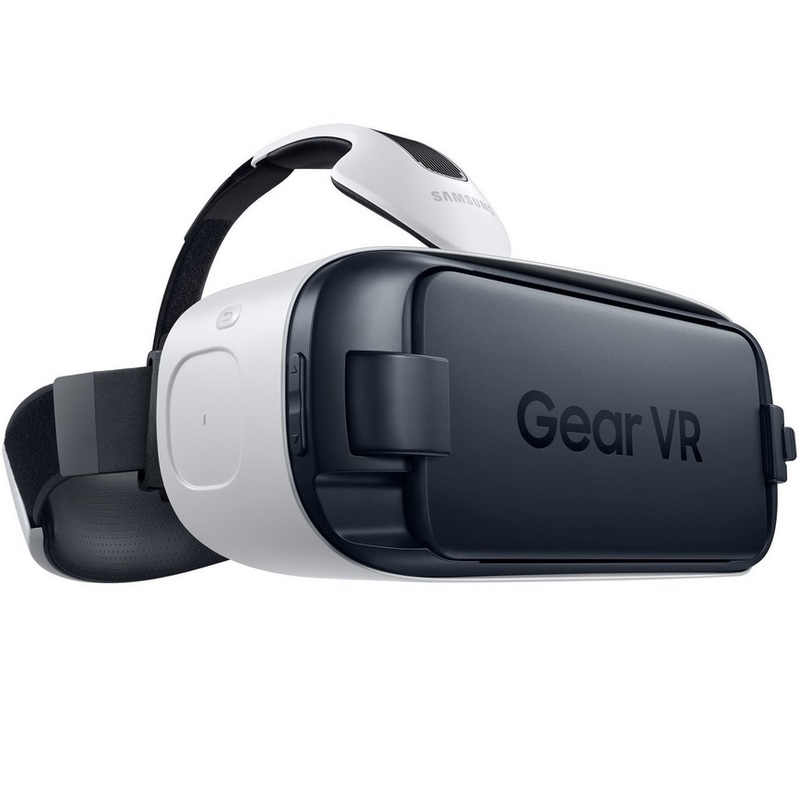 The gold standard of smartphone-based virtual reality headsets, but the $100 Gear VR can only run a small set of applications and only works with late-model Samsung smartphones. The headset has adjustment knobs or buttons for adjusting focus and volume, as well as a back button and built-in touchpad. Some games require a separate controller. Order it directly from Samsung, or from third-party retailers including Newegg, BestBuy and Amazon. Weighs 12 ounces or 340 grams, and has a field of view of 96 degrees. Read our review here. 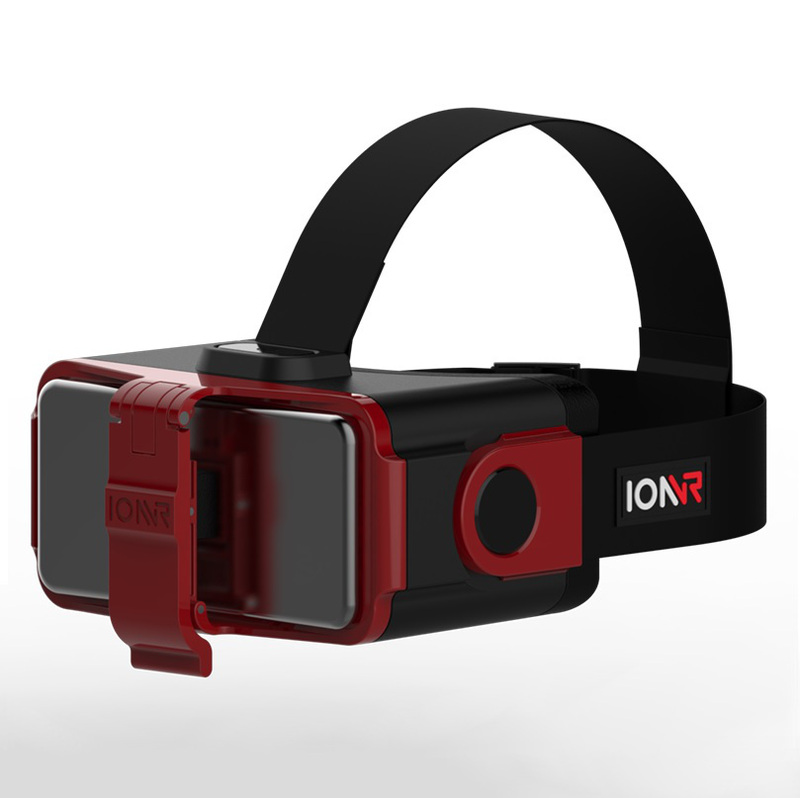 A Boise-based startup, IonVR has received quite a bit of media attention for its headset, mostly because of its innovative “MotionSync” technology which promises to get rid of motion sickness. Requires two AAA batteries. 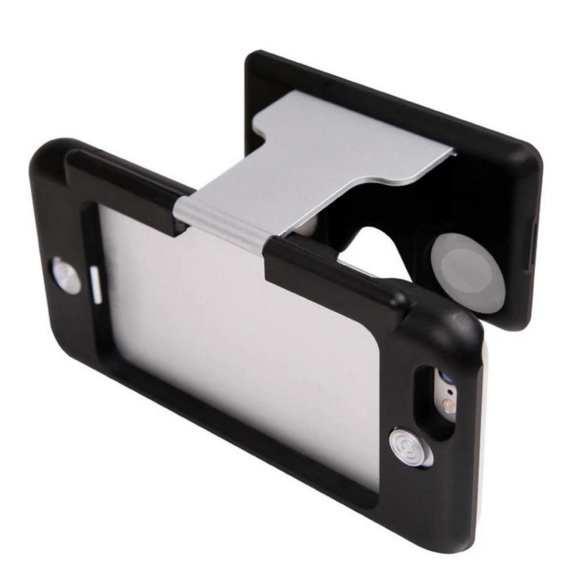 Supports smartphones with screen sizes of 4.6 to 6.0 inches. While the headset isn’t due to hit the market until Spring 2016, you can preorder it now for $229. Weight is 12 ounces, or 140 grams. Field of view of up to 100 degrees. A high-end Chinese-made headset. It is designed to hold phones with screen sizes between 4.5 and 6.0 inches. Distance between lenses is adjustable. Buy it from the company for 429 yuan ($63), from GearBest for $45, from AliExpress for $58 or from Amazon for $100. Weighs 12.6 ounces, or 358 grams, and has a movie-friendly field of view of 68 degrees. Available from I Am Cardboard for $99. This headset comes with a separate Bluetooth clicker that, once paired with the phone, makes the phone think that you’ve pressed a button — or touched the screen. 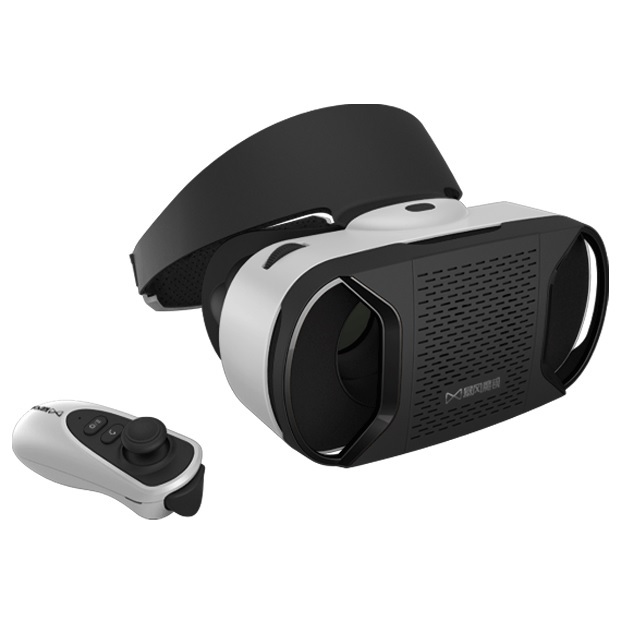 There is also a PC version of the headset, designed as an Oculus Rift alternative, for $249 and one that can work with both PCs and smartphones for $279. This headset was initially funded with a successful Kickstarter, and the first headsets have already begun arriving to the backers. It has a 100 degree field of view. This $140 headset from Immersion Vrelia was a “Best of CES 2015.” It supports smartphones with screensizes between 4 and 6 inches. Each lens has its own adjustment. The controller is sold separately. 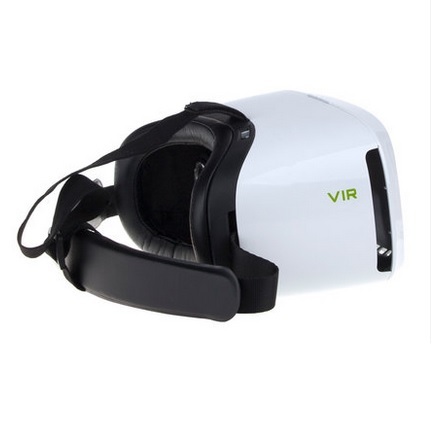 The headset comes with access to the AlterSpace cloud-based virtual reality environment. 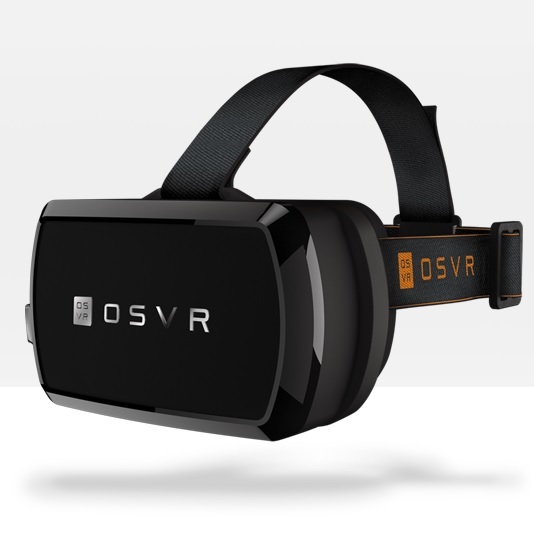 A $120 headset from the well-known optics maker, this device uses Zeiss precision lenses, and supports smartphones with display size between 4.7 and 5.2 inches. 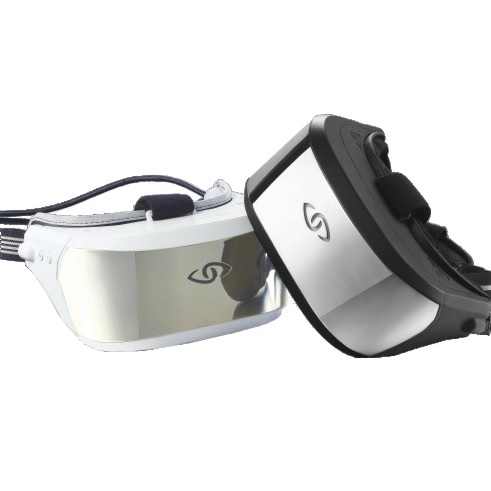 In addition, the front shield is transparent to allow smartphone cameras to work, so that the headset can also be used for augmented reality. Requires separate controller. The headset also uses fitted slide-out trays, which are $10 each, and available for iPhone 6, Samsung Galaxy S5, and Galaxy S6. You can also order it from Amazon for $120. Has a field of view of 100 degrees. 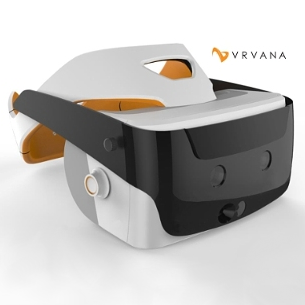 This headset is in the middle of a Kickstarter campaign, and is expected to cost around $450 when it hits the market in mid-2016. 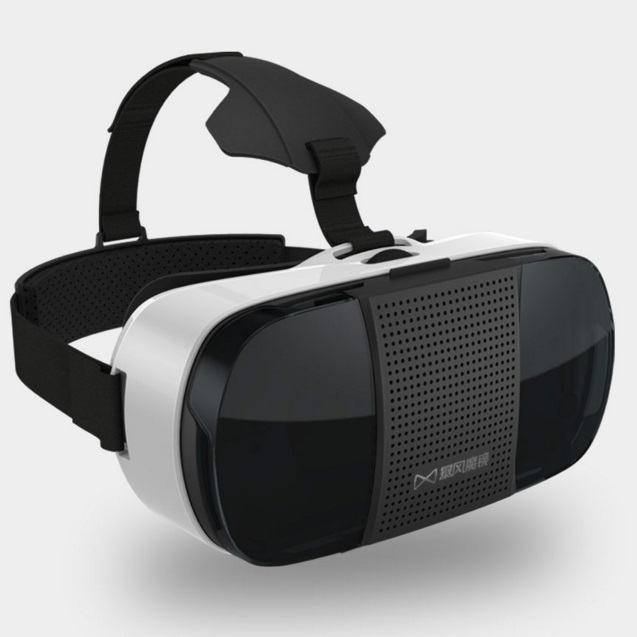 It has a built-in 5-inch display, adjustable lenses, and a few more buttons than the typical headset. 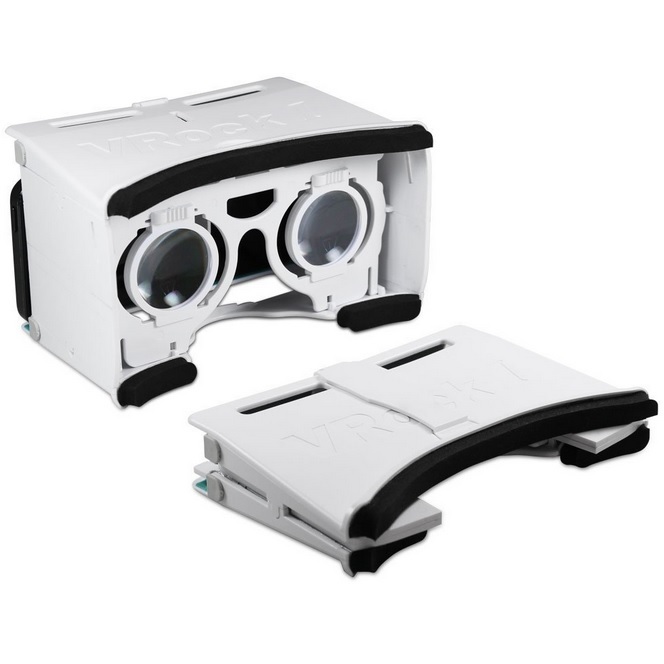 It runs on the Android operating system and is expected to be compatible with the Google Cardboard apps already on the market. 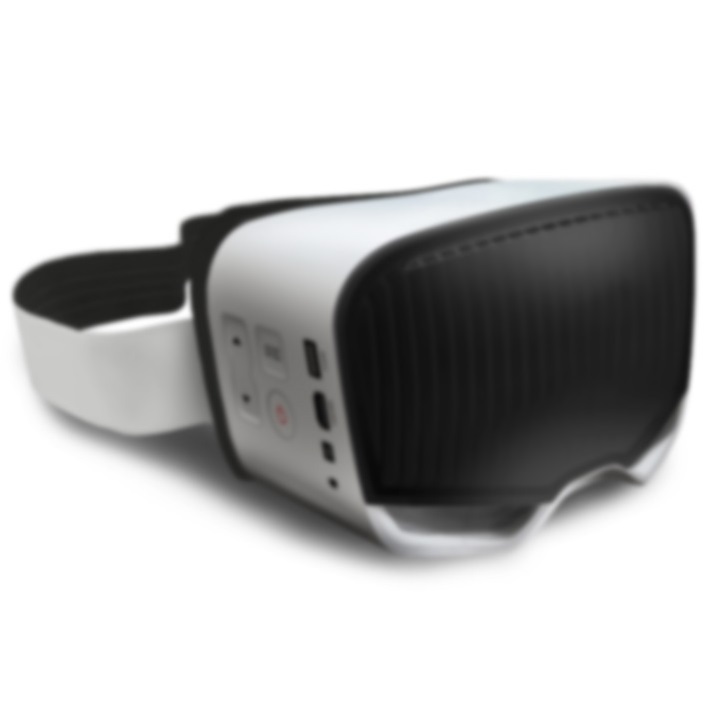 It will also have its own development kit, and a virtual reality user interface. Field of view is announced at 100 degrees. A high-end headset made in China, designed to work as a standalone headset, or as a peripheral with the PC and the XBox. Includes a 5-inch, 1920 by 1080 display and an 8-core, 2.0 GHz processor. Order for $261 from AliExpress or $339 on Amazon. Available in black and in white. Includes built-in accelerometer, gyroscope, magnetometer and distance sensors. Weight is 13 ounces or 370 grams. 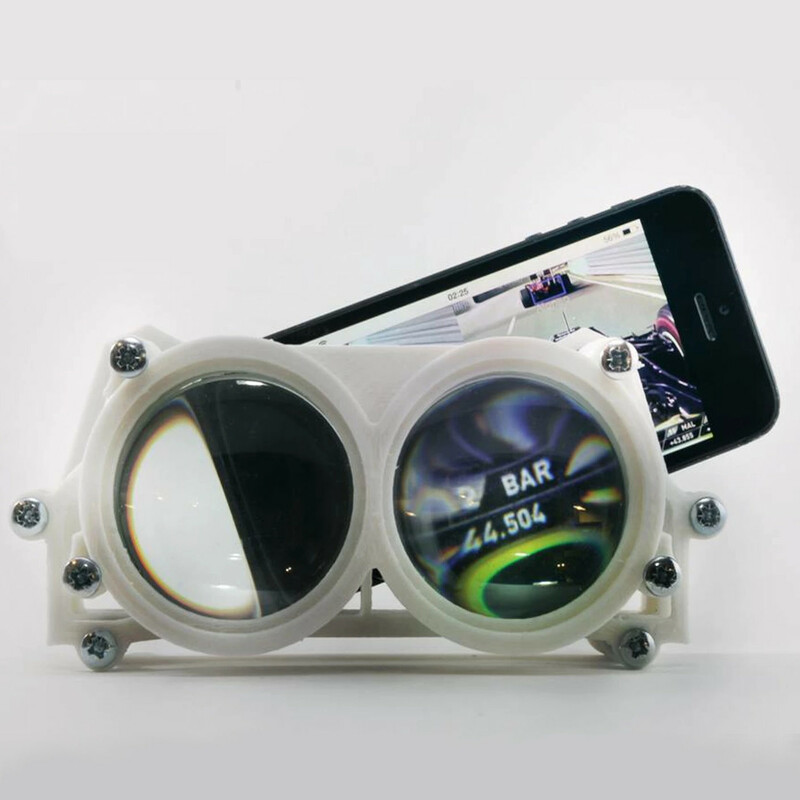 Company promises a field of view of 124 degrees. $130. Proprietary app store, Nibiru OS, touchpad, does not fit over glasses. Lenses are not adjustable. Has WiFi, Bluetooth and USB connectivity. Order for $130 on GeekBuying, or $130 on AliExpress. Weighs 15 ounces or 430 grams. Field of view is 100 degrees. Headsets like the Oculus Rift have their own built-in screens and don’t need a smartphone to work — but they do need a PC or gaming console to power them. They are also known as “tethered” headsets. 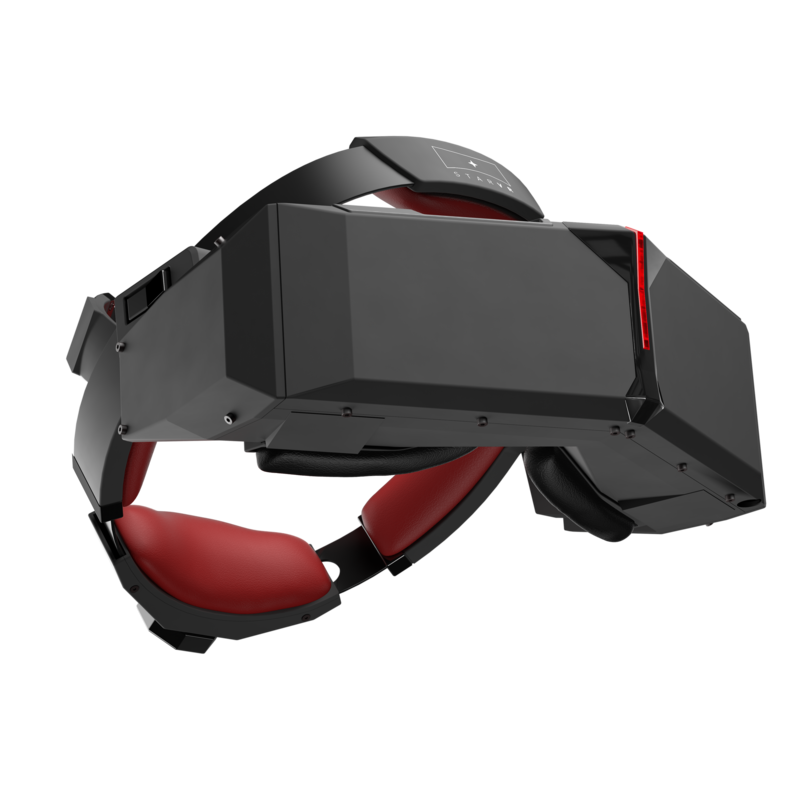 This company promises that its 3Dhead headset does everything the Oculus Rift can do, plus positional tracking without an external camera. Audio microphone and headset included, and the company also promises that it tracks arm and body movement. At $999, it’s one of the priciest headsets on the market. 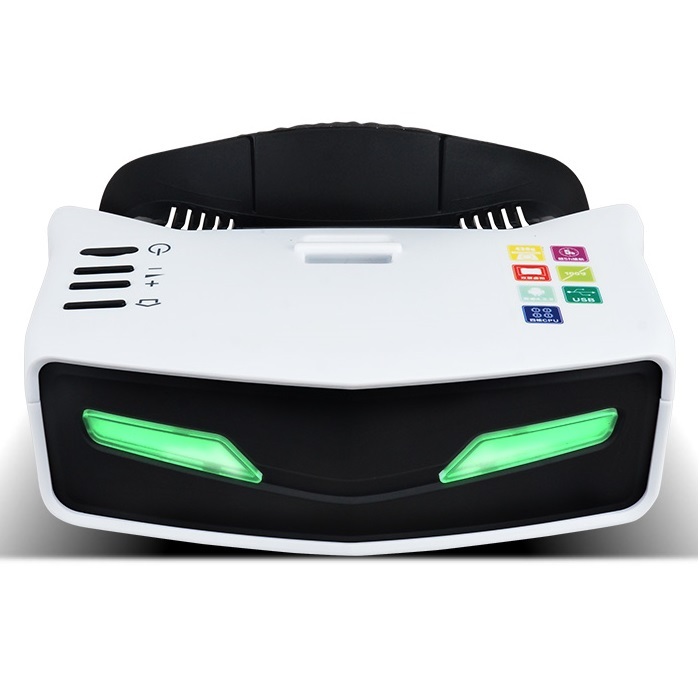 All-in-one, double-screen virtual reality headset. Runs on Android. Has WiFi, built-in battery. Order for $411 from AliExpress. Weight and field of view not specified, but product page is focused on movie-watching, suggesting a narrower field of view. 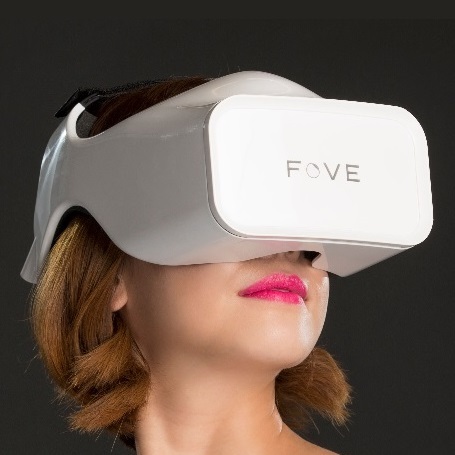 This is another Chinese Oculus alternative. 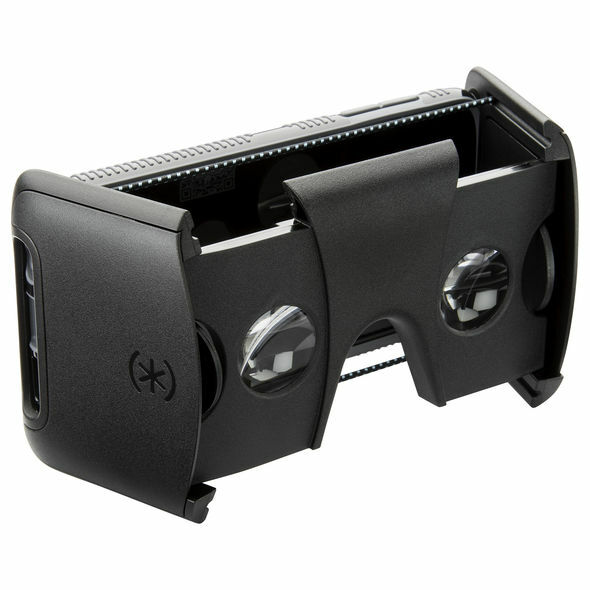 It promises wide 120-degree field of view. Comes with a Samsung AMOLED display with 1080 by 1920 resolution, a response time of less than 0.1 ms, and a refresh rate of 75HZ. Connects with HDMI and Mini USB cables. 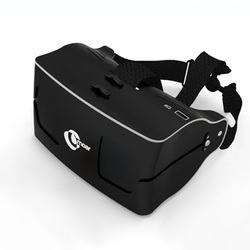 The company says that it is compatible with Oculus Rift DK1 and DK2 games. Order for $260 from AliExpress, $300 on GearBest, or $300 from GeekBuying. Weighs 23 ounces, or 657 grams. Field of view is 120 degrees. This headset, which recently finished a successful funding round on Kickstarter with $480,000, stands out for its eye-tracking ability. The Kickstarter supporter price for the headset was $350. The development kit is scheduled to hit the market in 2016, and the consumer version isn’t due out the year after that. 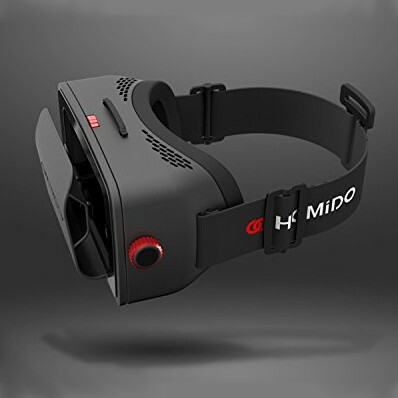 The eye-tracking ability means that the headset can increase the resolution of the area that the user is looking at, and decrease the resolution elsewhere, allowing for better graphics with a lower-end processor. The field of view is 100 degrees. 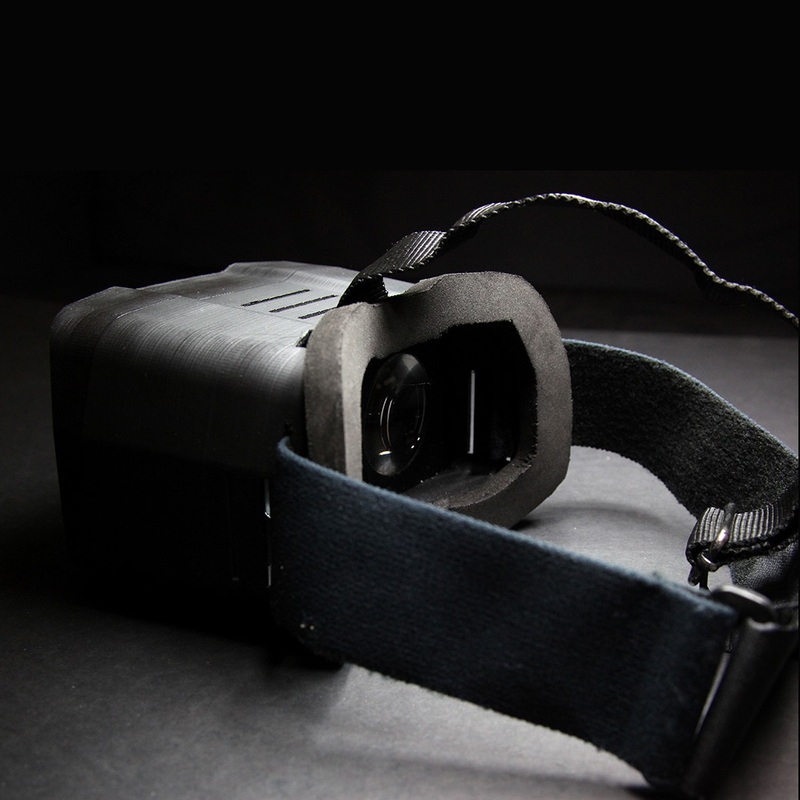 Another headset that’s not yet on the market, this device promises to run Cardboard-compatible VR apps.. Uses Valve’s Lighthouse technology for positional tracking. According to the company, it has enough batteries for seven hours of gameplay. 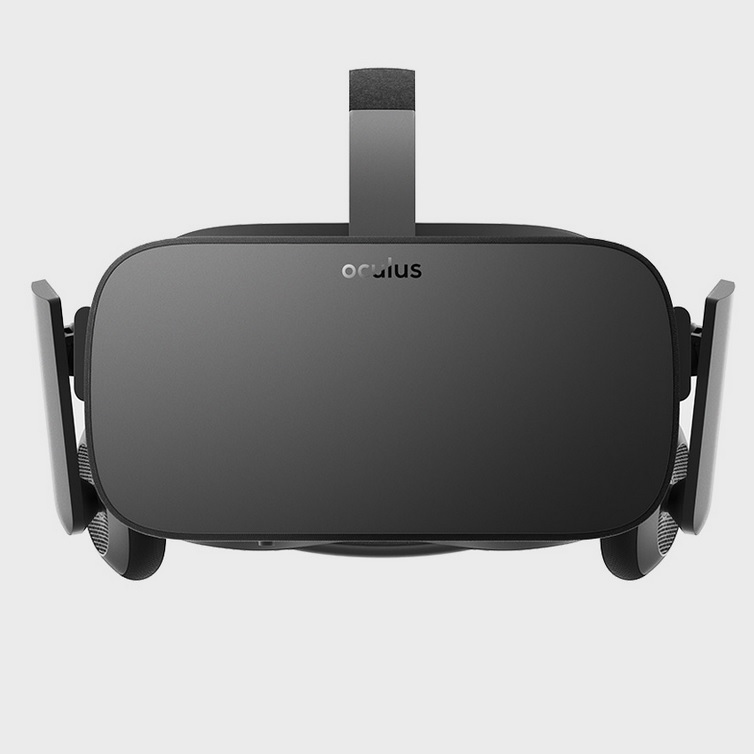 The headset is expected to cost around $500 and is expected to ship in 2017. It promises to have a field of view of 140 degrees,. This is a dedicated Steam headset, and is expected to be officially released before the end of this year. It uses Valve’s Lighthouse technology for positional tracking. It’s expected to be on the pricey end of the consumer headsets, at $600 or more. 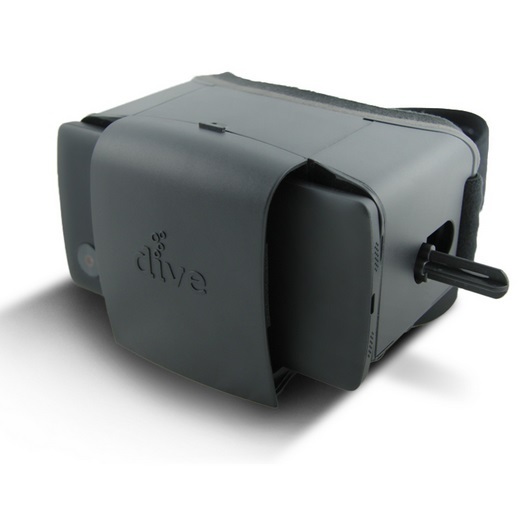 The device works with Windows, Linux and Mac computers and has nearly as many compatible games as the Oculus Rift. Field of view of 110 degrees. In our review, this is the best consumer virtual reality headset currently in existence by a wide margin. 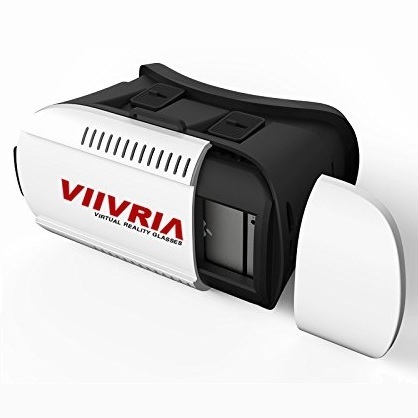 A high-end virtual reality display that promises a 2K display screen and adjustable lenses. 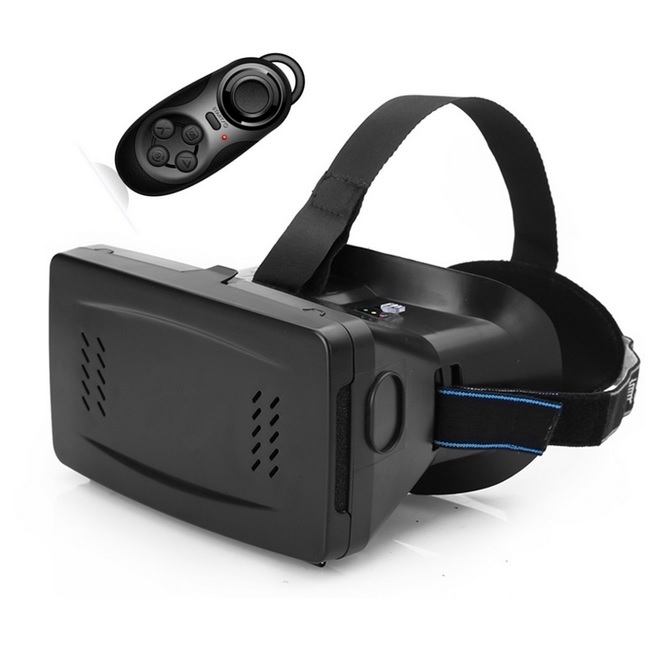 With a 70 degree field of view, however, this headset is optimized more for watching movies than for virtual reality games and experiences. 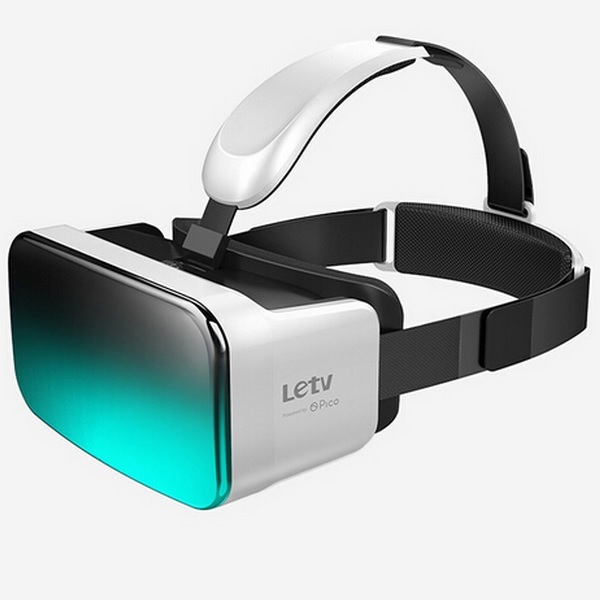 This headset comes from LeTV, a Chinese online video service, and only works with LeTV’s own Le Superphone. Order from AliExpress for $597. 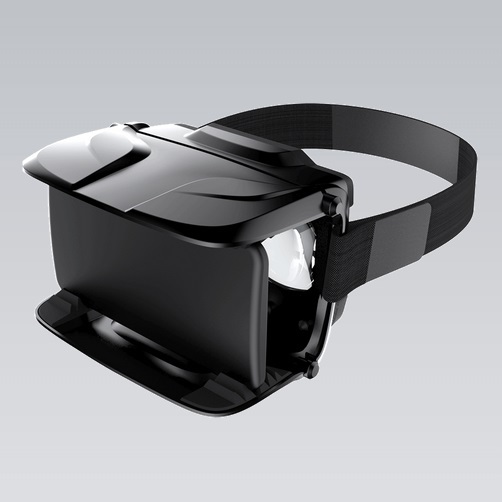 The headset that started it all, expected to hit the consumer market in early 2016. Requires external controller. The development kit is available for order for $350 and comes with an external camera for more accurate position tracking. 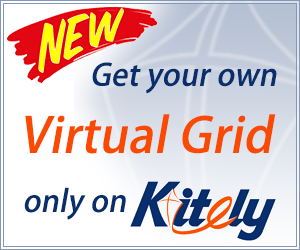 Compatible applications are distributed via the Oculus Share platform, and there are currently a couple of hundred of them. The Oculus Rift, which was acquired by Facebook for $2 billion last year, currently has the largest ecosystem of apps and developers of any of the non-smartphone virtual reality headsets. Field of view of 100 degrees. 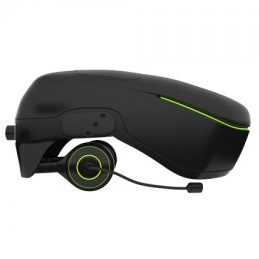 The open source headset from Razer. Development kit now available for $300. 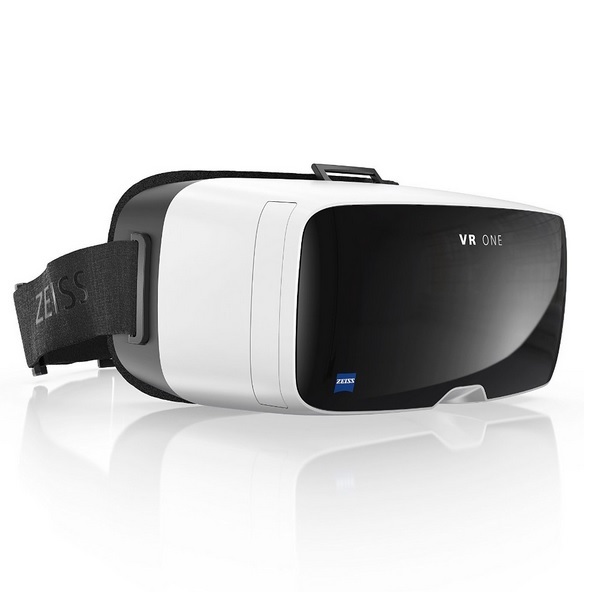 Includes a 5.5 inch OLED display with 1080 by 1920 resolution and individual eye focus. The field of view is reported as 100 degrees. This device is designed to work as a peripheral to the Sony PlayStation 4, and is expected to hit the market sometime in 2016. 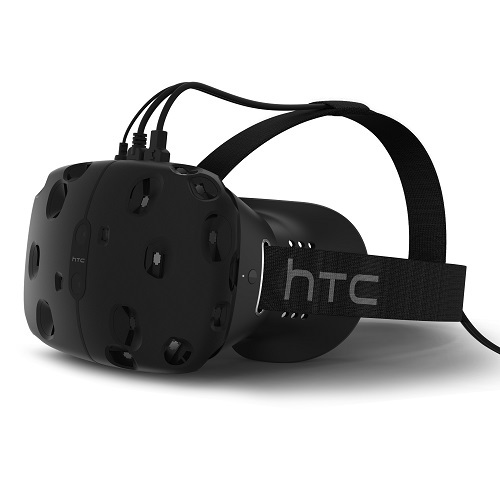 It’s rumored to cost around the same price as the Oculus Rift, so in the $350 neighborhood. 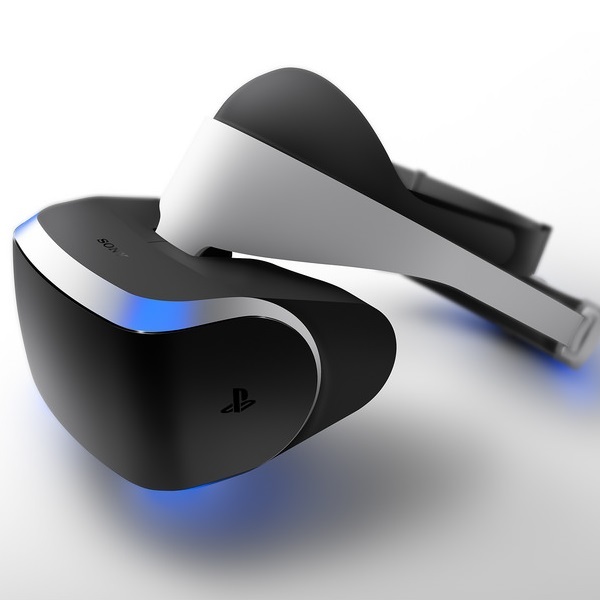 It will work with PlayStation Move controllers. This headset supports both virtual reality and augmented reality applications, and a developer kit version is available for pre-order for $500. 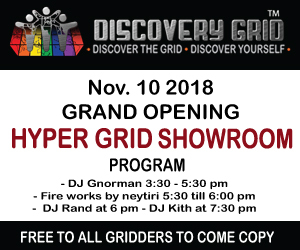 The company tells Hypergrid Business that they plan to start shipping developers kits by end of 2015. There is no date set yet for the consumer version. No pricing or release date set yet for this headset, which stands apart from the rest with its two-screen display. 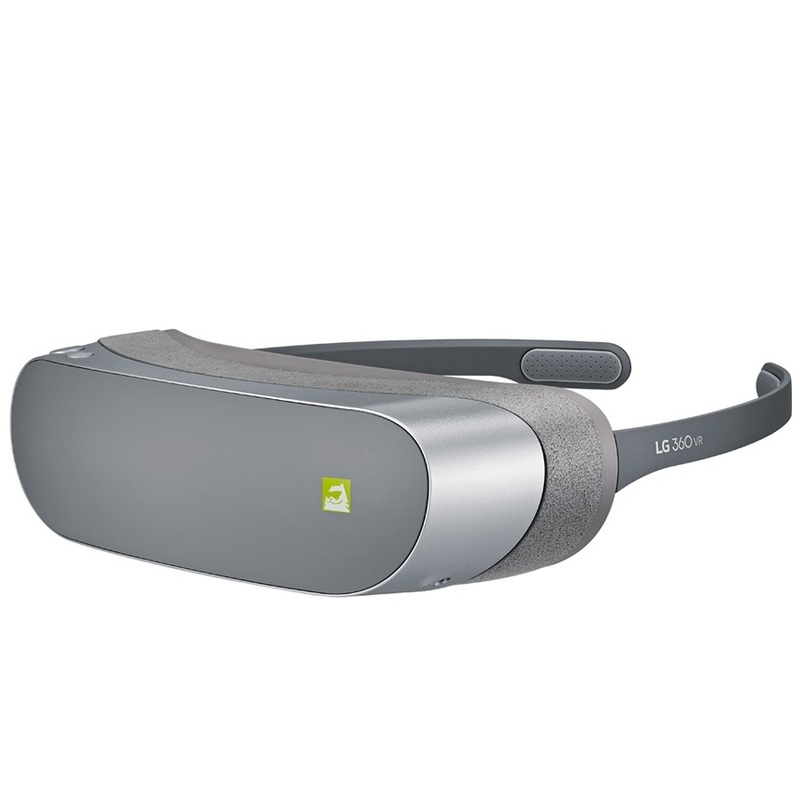 Having two 5.5-inch display screens means that the headset has a jaw-dropping 210 degree field of view. The company also plans to integrate eye-tracking into its headset, which will allow players to make eye contact with in-game characters, allowing for more immersion. 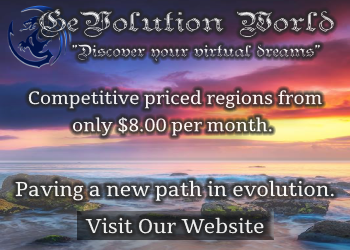 As with the FOVE, this will allow the company to have higher resolution in the direction the user is looking, allowing for better overall graphics. 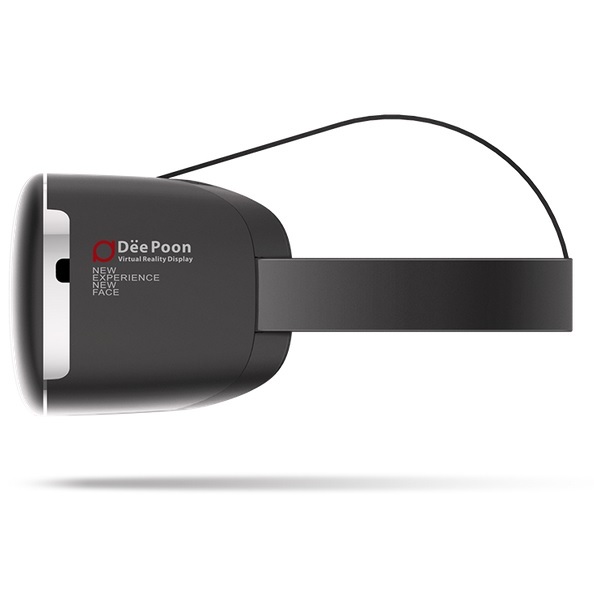 The Three Glasses D1 headset is a Chinese knock-off of the Oculus Rift, designed to work as a peripheral to Windows and Mac PCs. Display resolution is 1080 by 1920, refresh rate is 60HZ. Buy them from the company’s Chinese-language site for 2,000 yuan, or from LightInTheBox for $372. Weighs 10 ounces, or 288 grams. Company claims a field of view of a very impressive 125 degrees. The Three Glasses D2 headset is an updated version of Three Glasses D1, a Chinese knock-off of the Oculus Rift. Display resolution is 1440 by 2560, refresh rate is 60HZ. The latency is 13ms, half that of the D1 above. Buy them from the company’s Chinese-language site for 2,000 yuan or from LightInTheBox for $438 in black, gold and silver. Weighs 8.7 ounces, or 246 grams. Company claims a field of view of 110 degrees. This headset connects wirelessly to PCs, but claims to be as fast as a standard, wired connection. It keeps costs low — it runs just $149 — because it doesn’t come with a screen but instead uses your smartphone. It’s compatible with Android and iOS smartphones with 4.7 to 6 inch screens. Comes with a supplemental battery pack to keep smartphones charged. Works with prescription glasses. 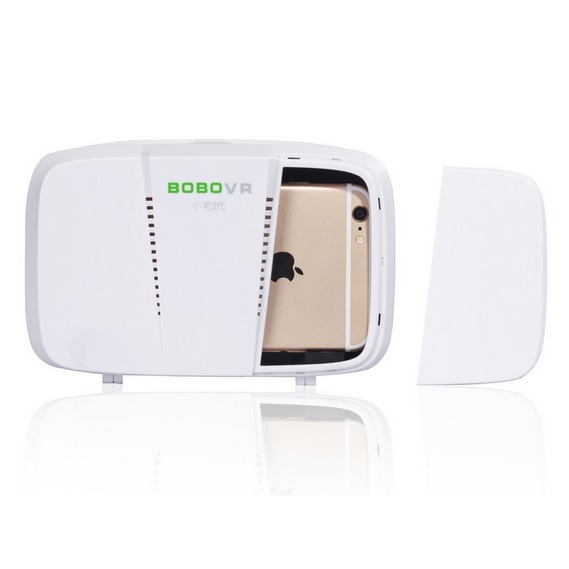 Has a built-in fan to reduce fogging. The field of view is 110 degrees. This headset is available for pre-order for $450, and is estimated to ship in 2016. It includes a built-in camera so that you can see your keyboard, or the world around you. It is expected to work with Windows, Mac and Linux PCs, Playstation 3 and 5, and Xbox One and 360. 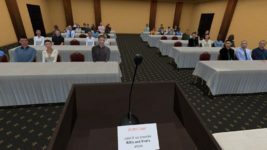 It will support the OSVR, Unreal and Unity game development engines. Are we missing any headsets?